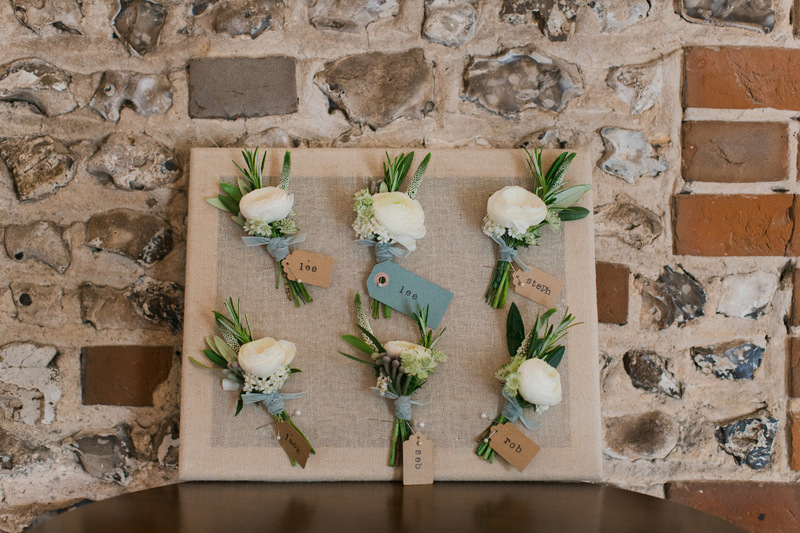 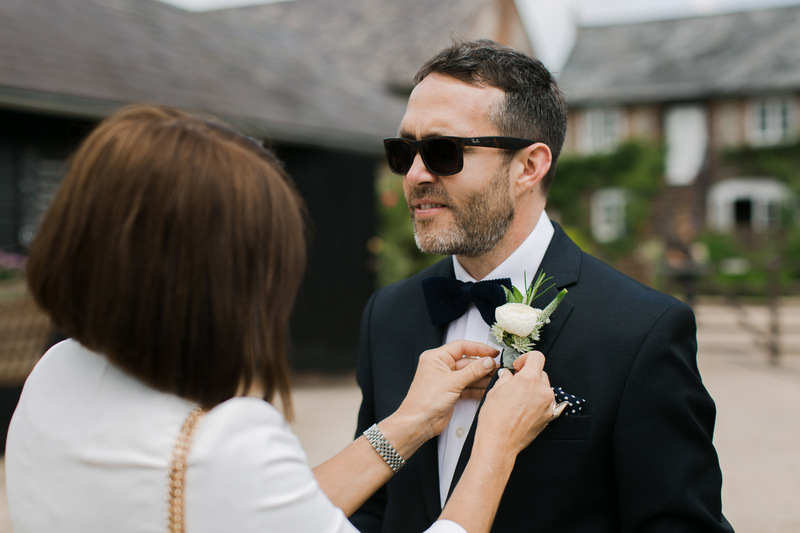 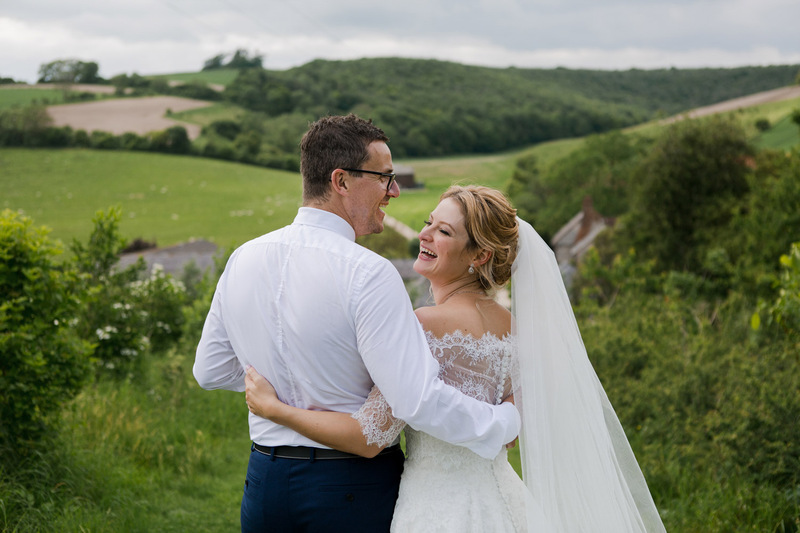 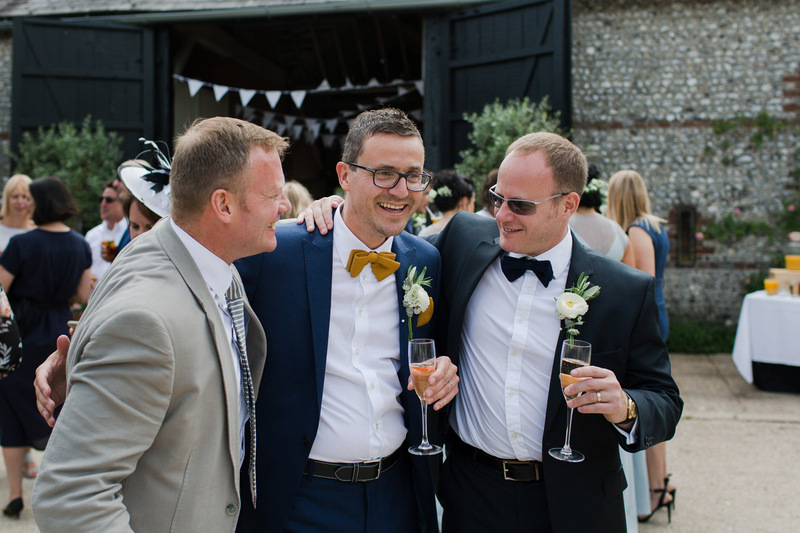 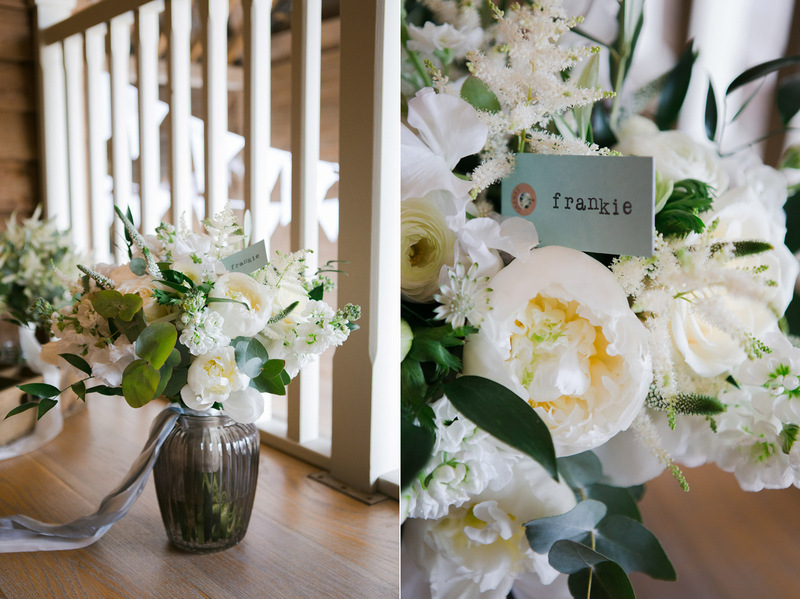 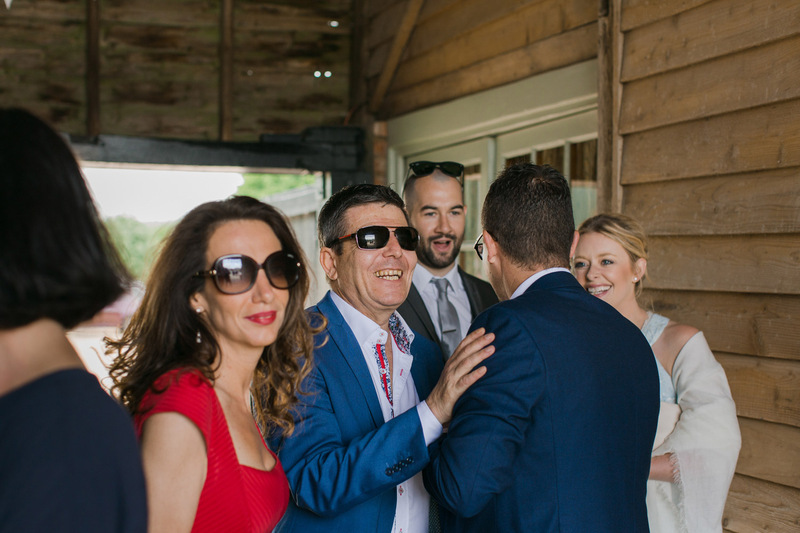 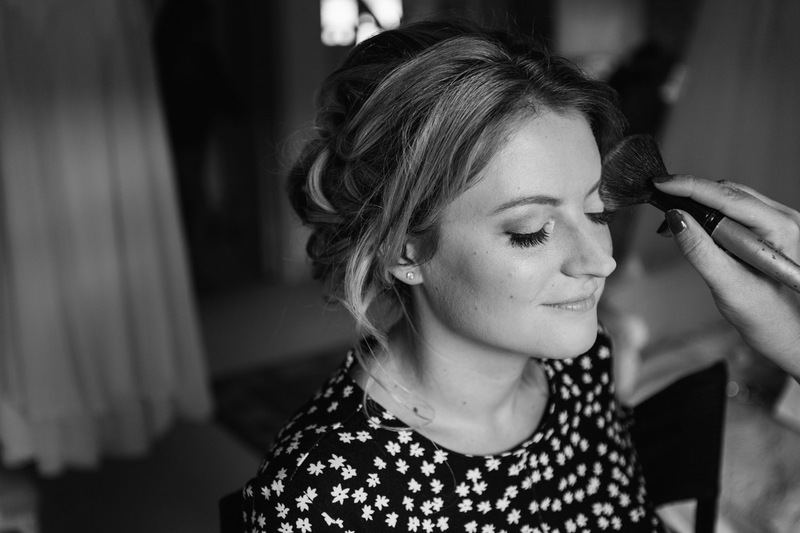 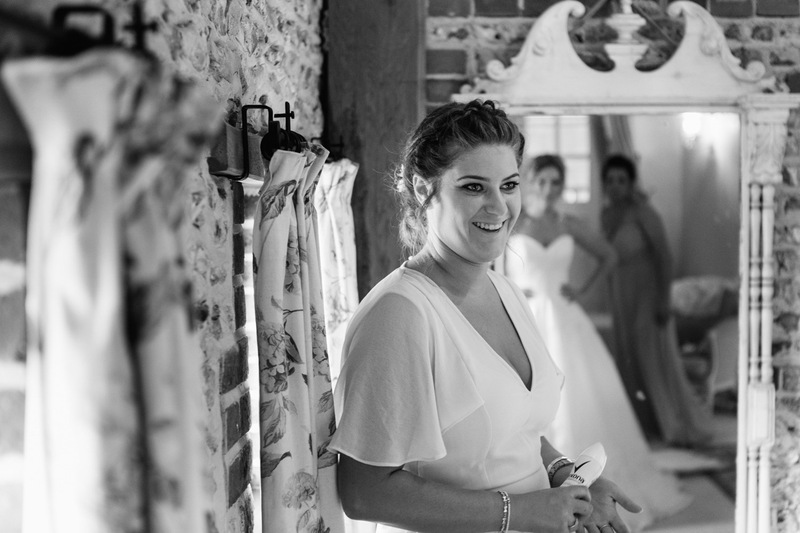 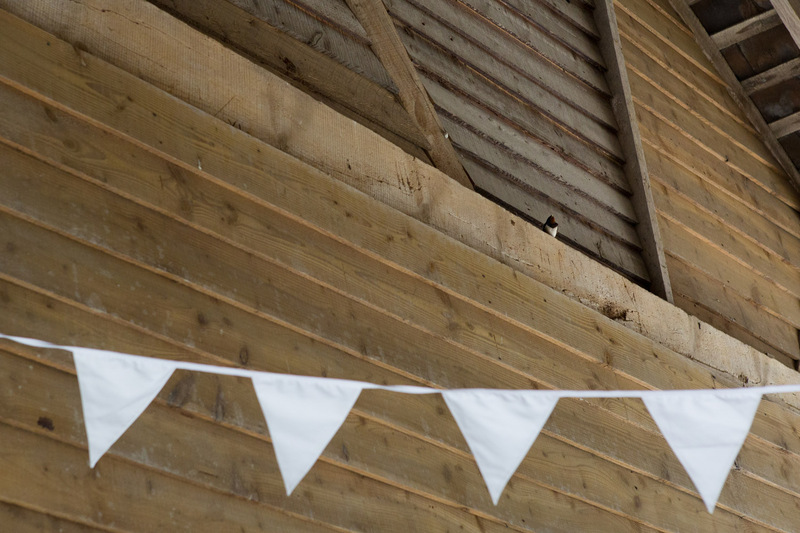 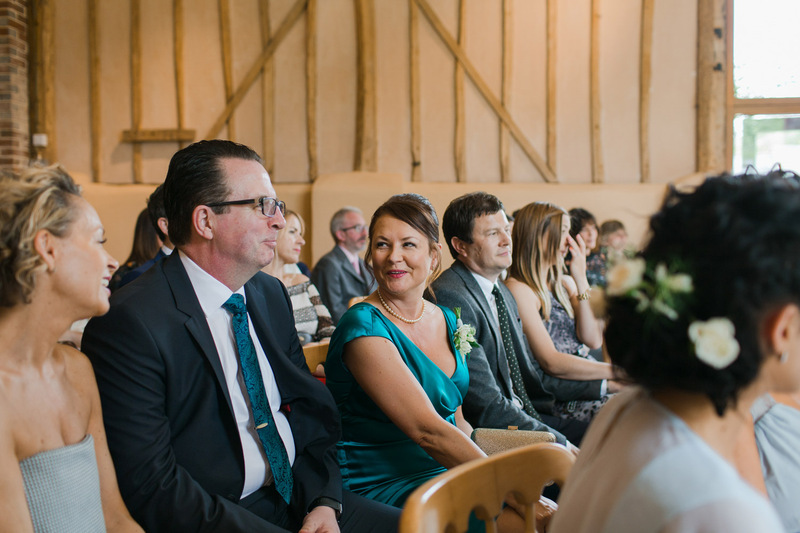 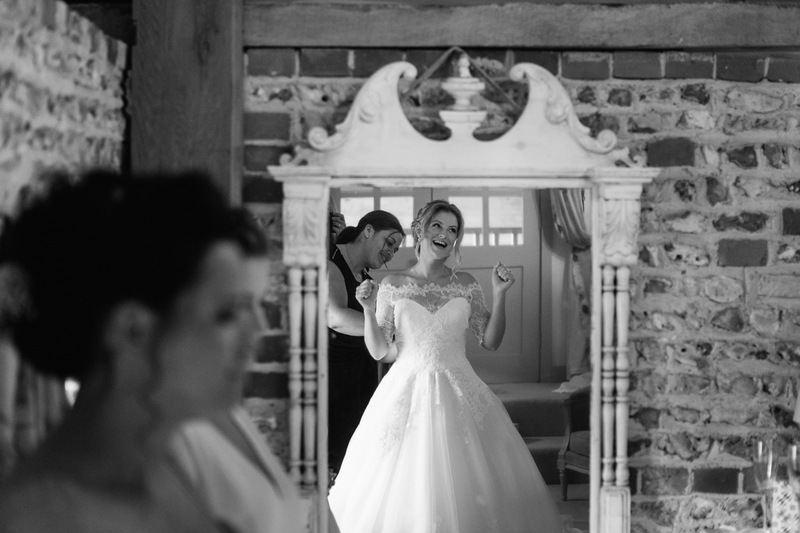 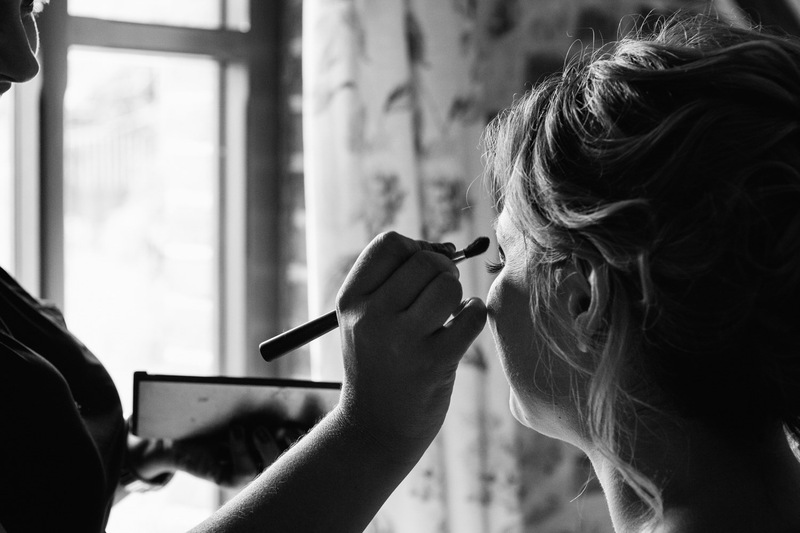 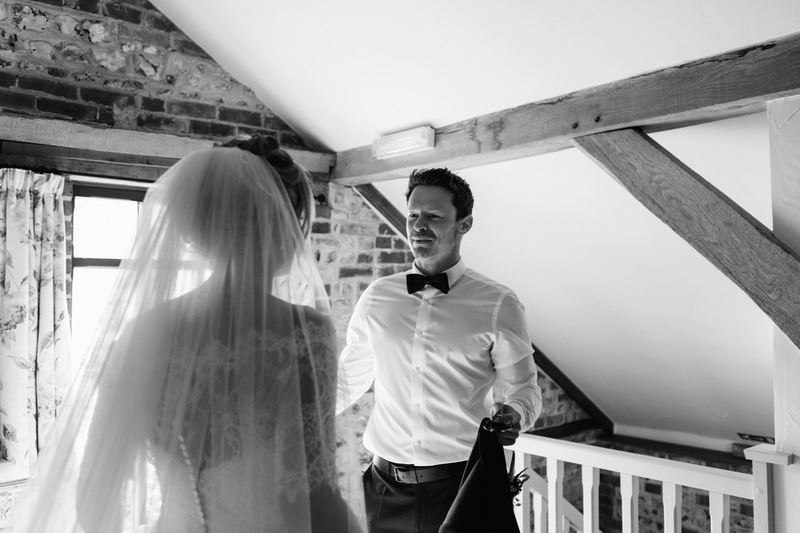 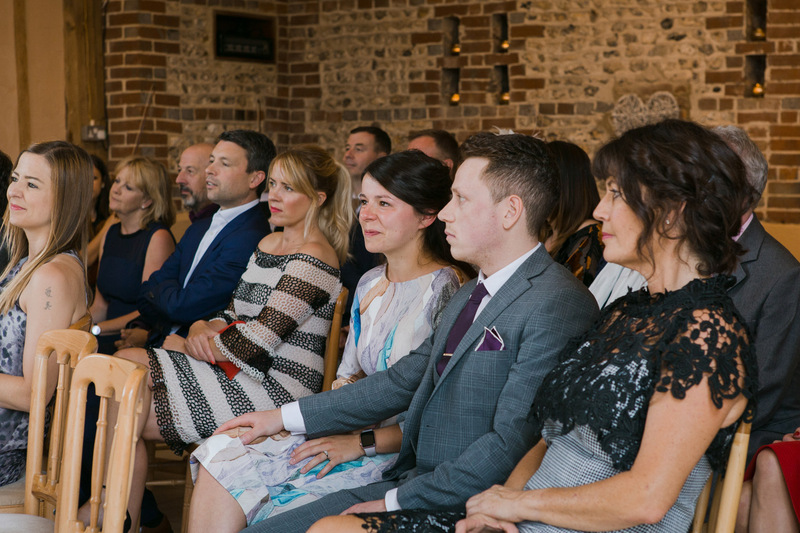 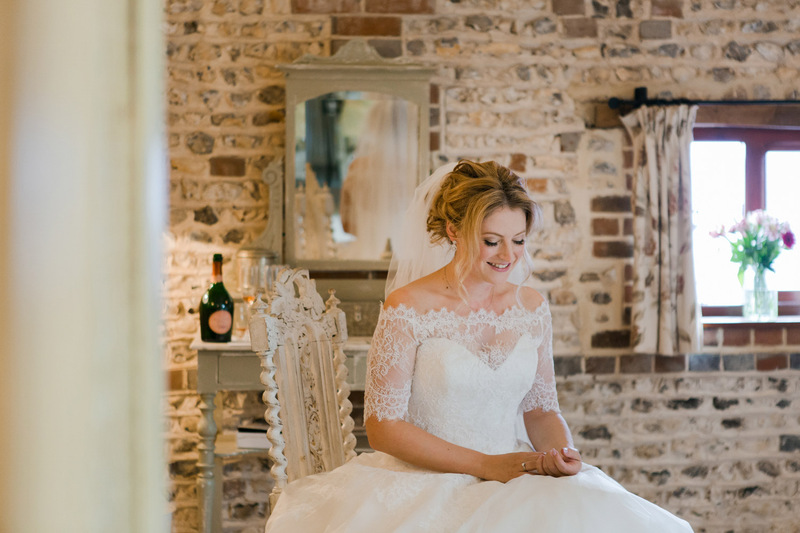 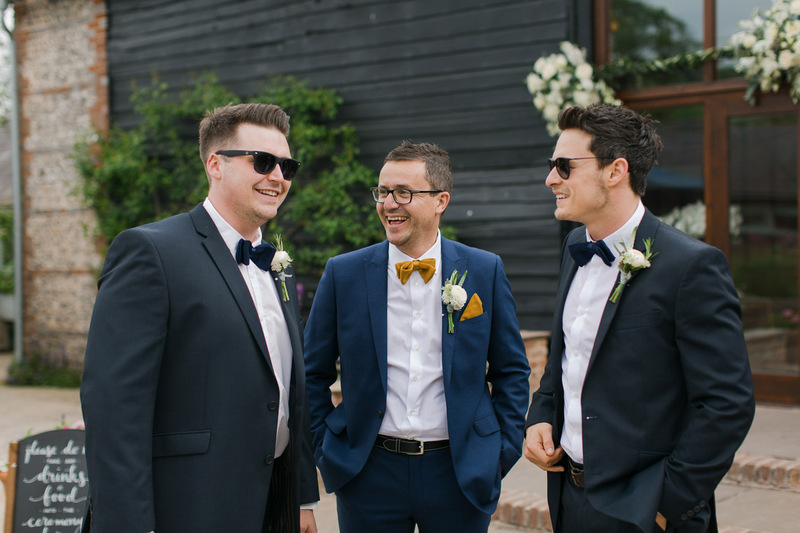 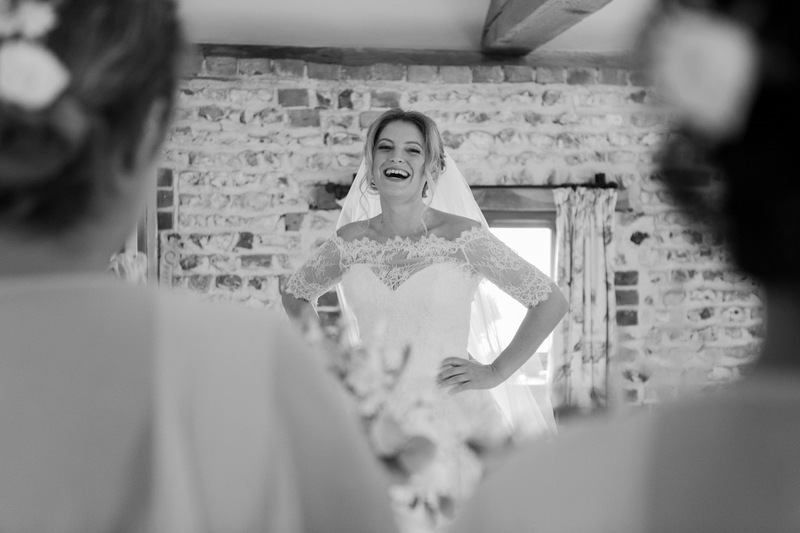 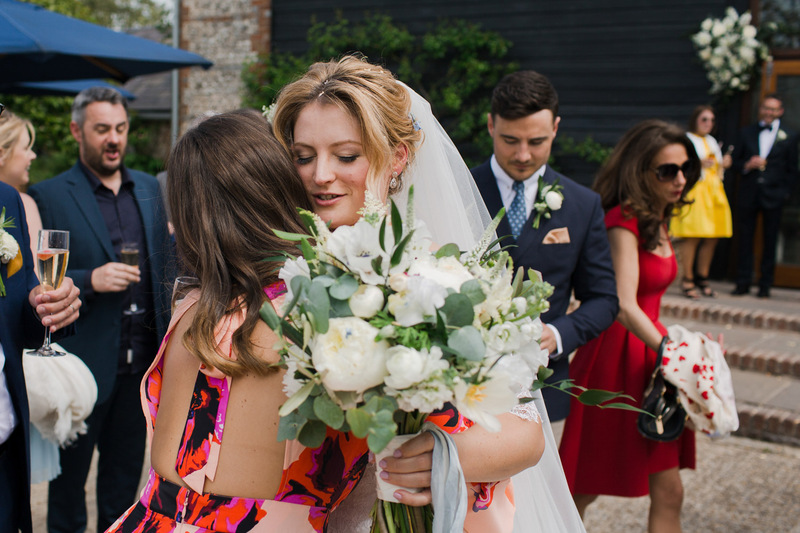 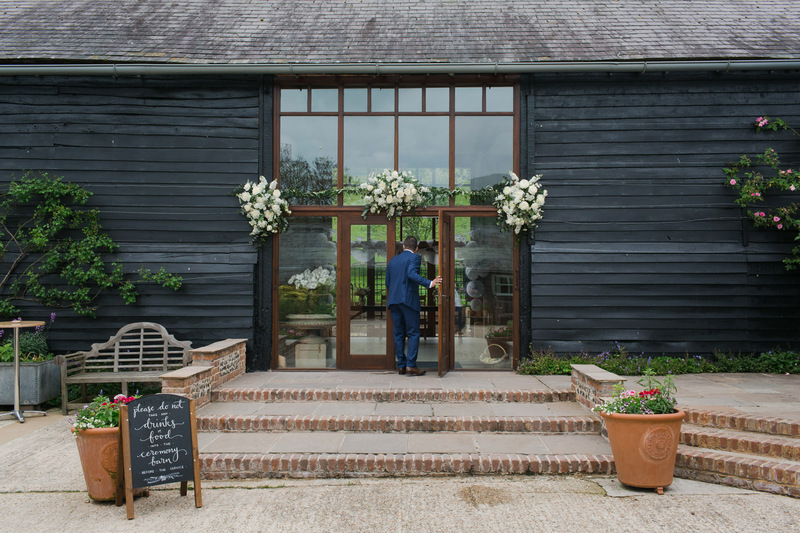 For Frankie and Lee’s Upwaltham Barns wedding, we travelled down to the South Downs National Park in West Sussex. 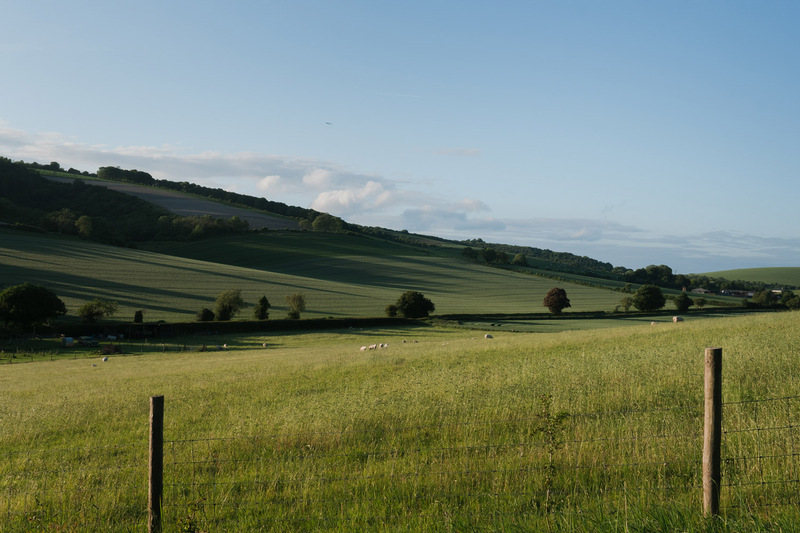 What a stunning part of the country, breathtaking countryside. 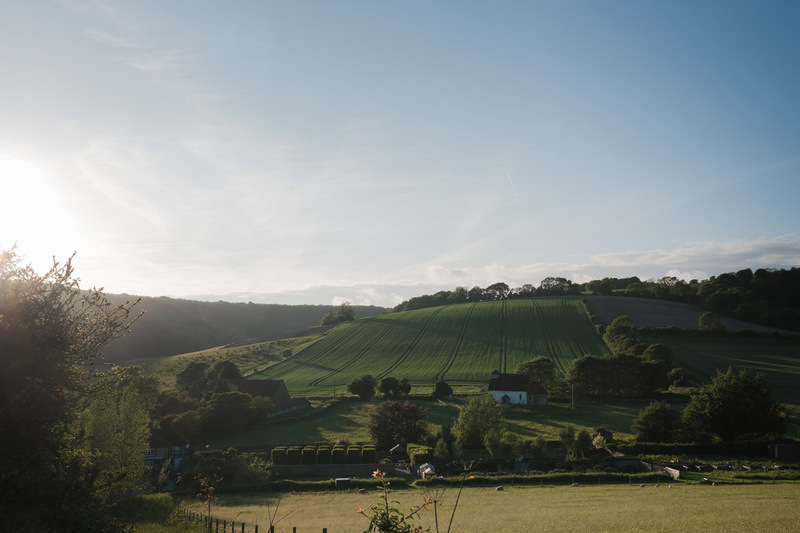 We really felt like we were in the middle of nowhere. 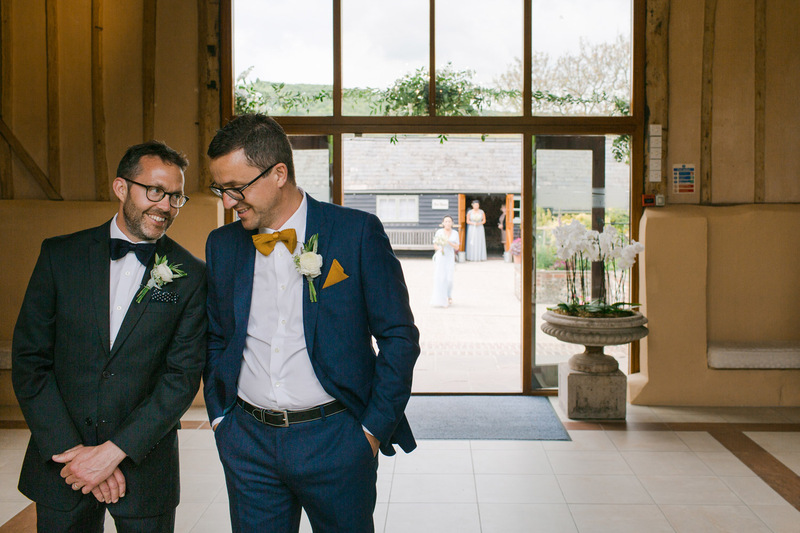 We hadn’t met Frankie and Lee in person beforehand but knew they had chosen us for our observational style of photography and that they very much wanted to be themselves on their day. 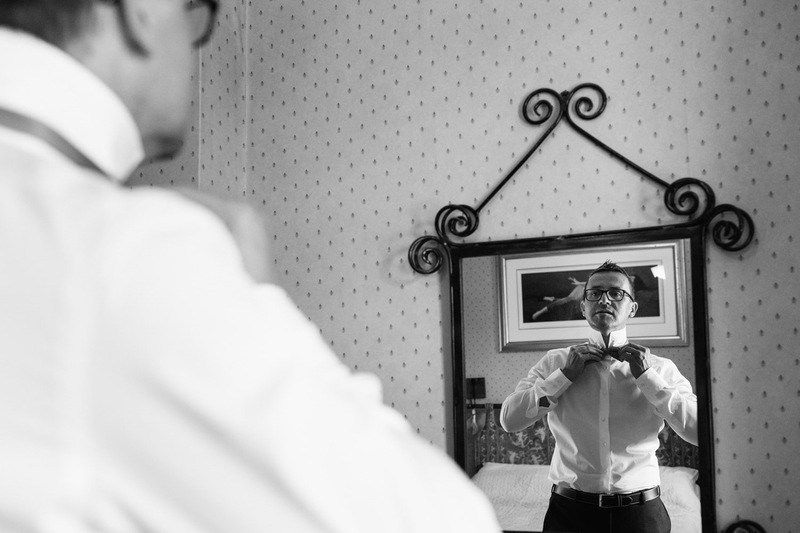 So Tim and I started photographing quite early, as they began their respective mornings. 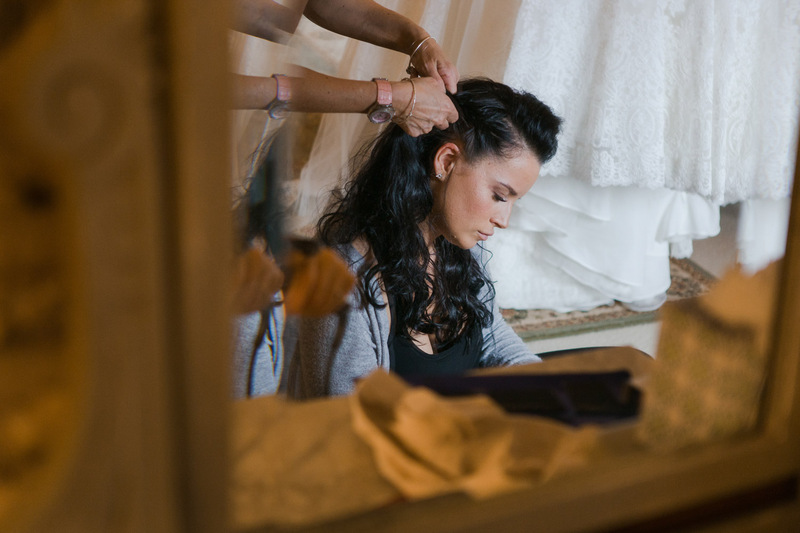 Both began alone, in absolute peace and quiet; Frankie sat looking out of her window, lost in her thoughts while her makeup artist moved gently around her. 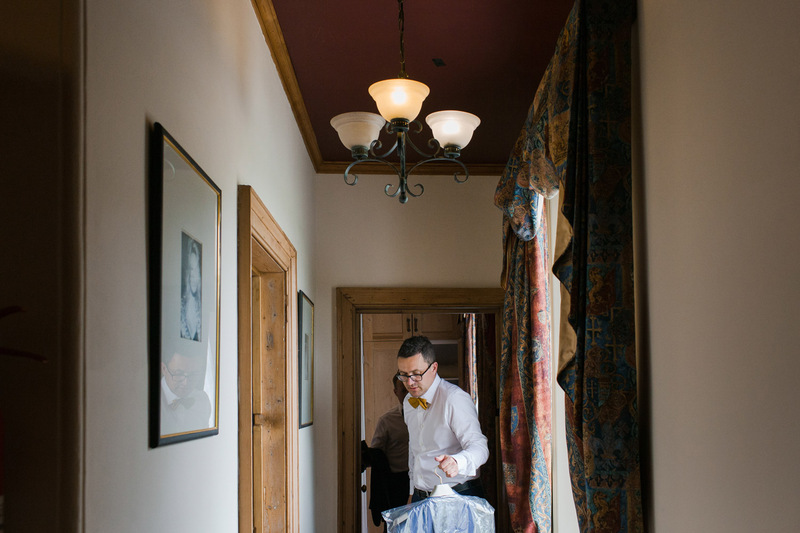 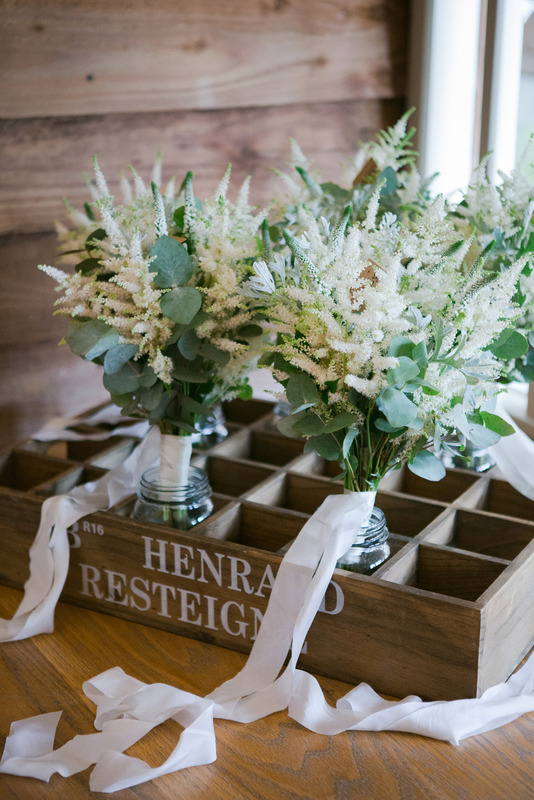 While Lee eased into the day with a coffee, carefully unpacking and methodically laying his clothes out, before beginning to get ready with just the bird sounds outside for company. 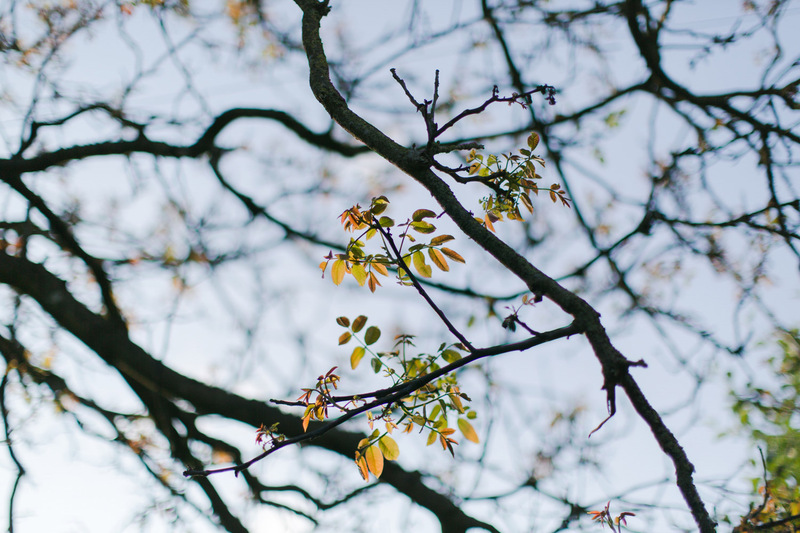 So tranquil! 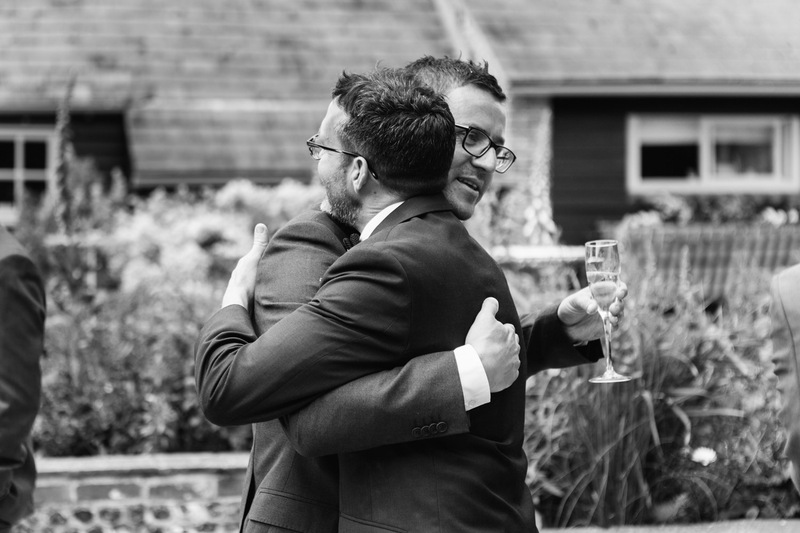 We both immediately sensed that Frankie and Lee were two very special individuals, who very much knew how to be in the moment. 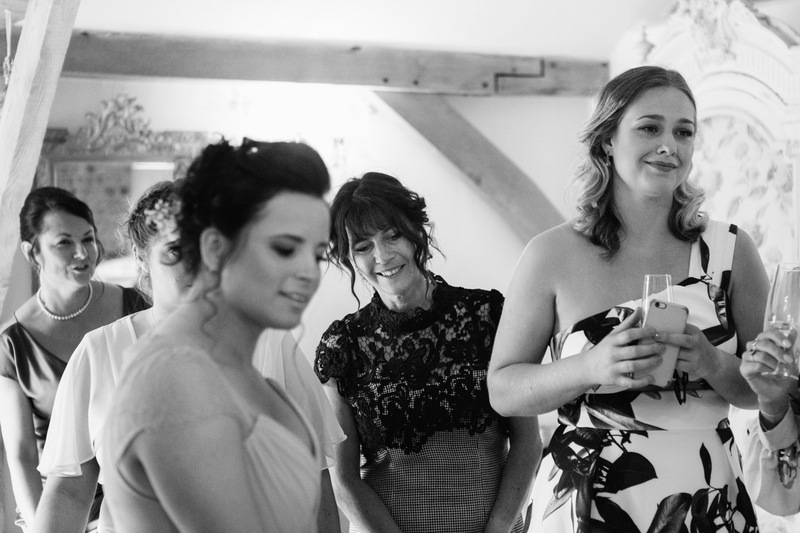 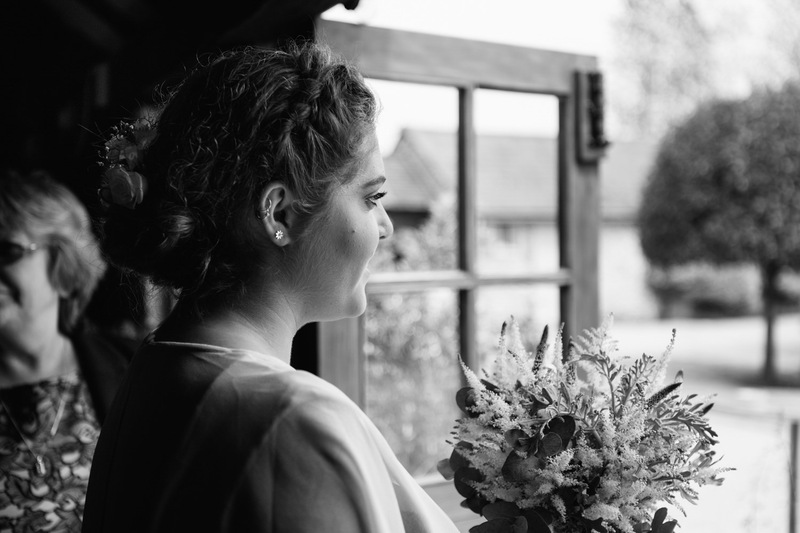 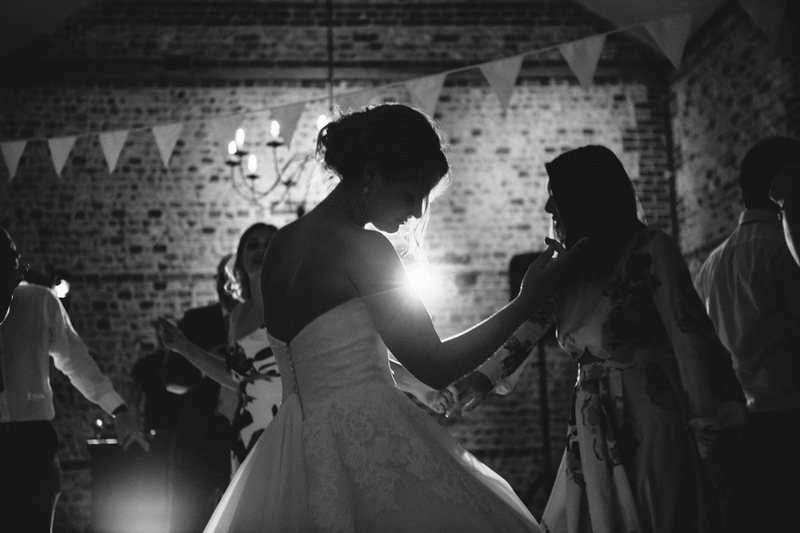 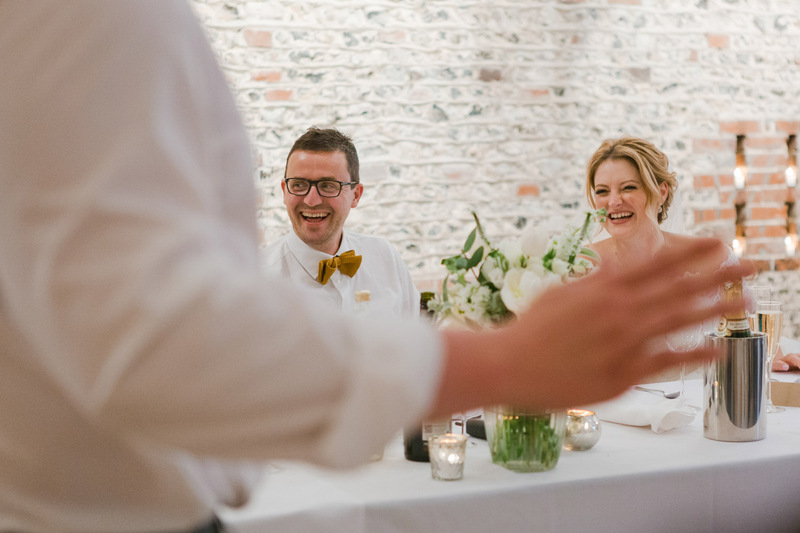 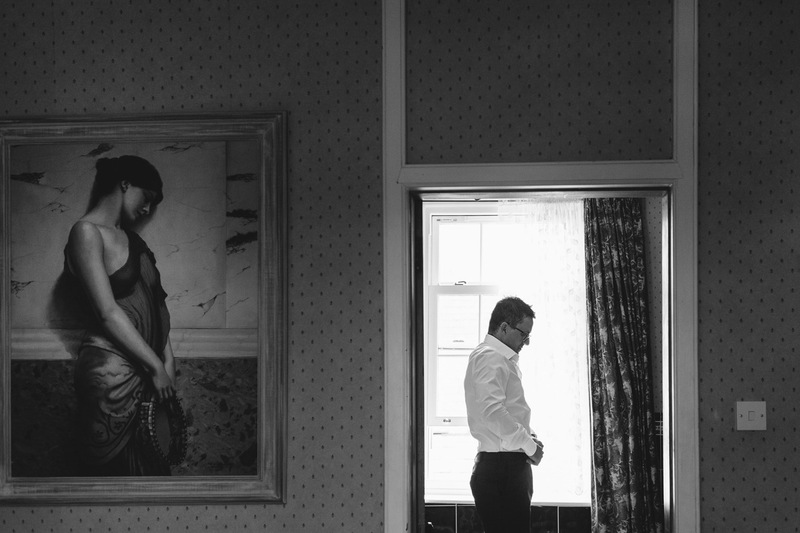 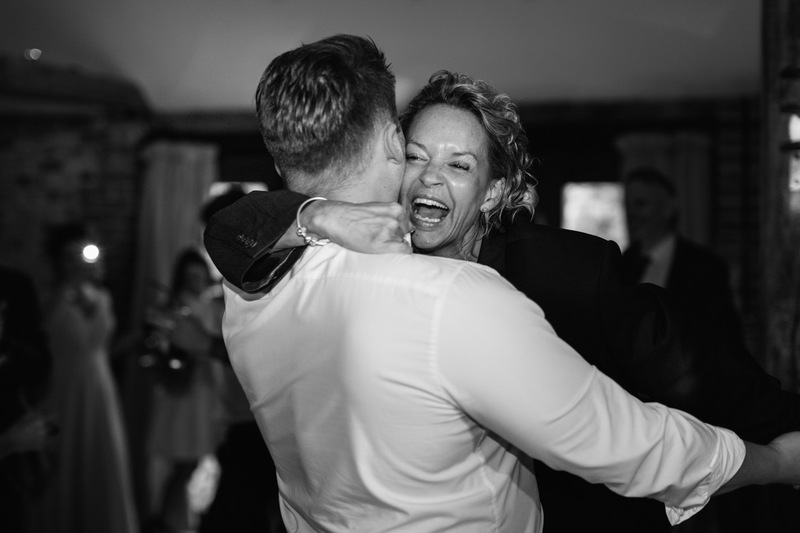 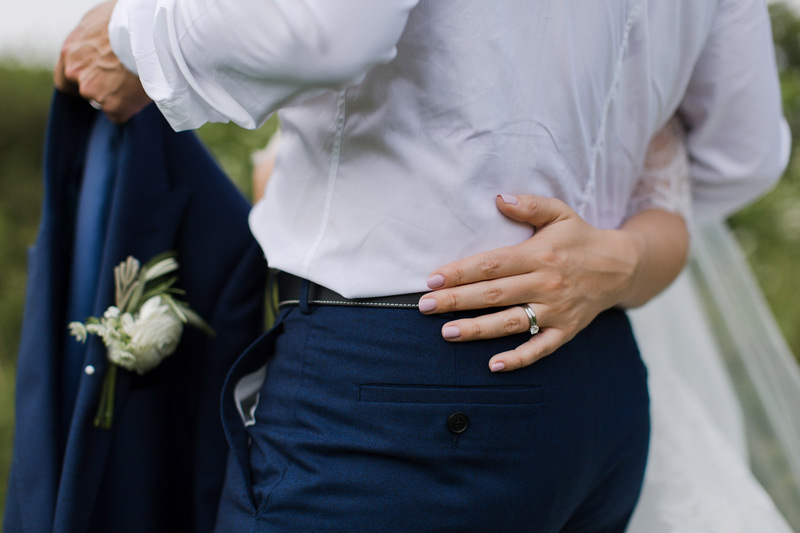 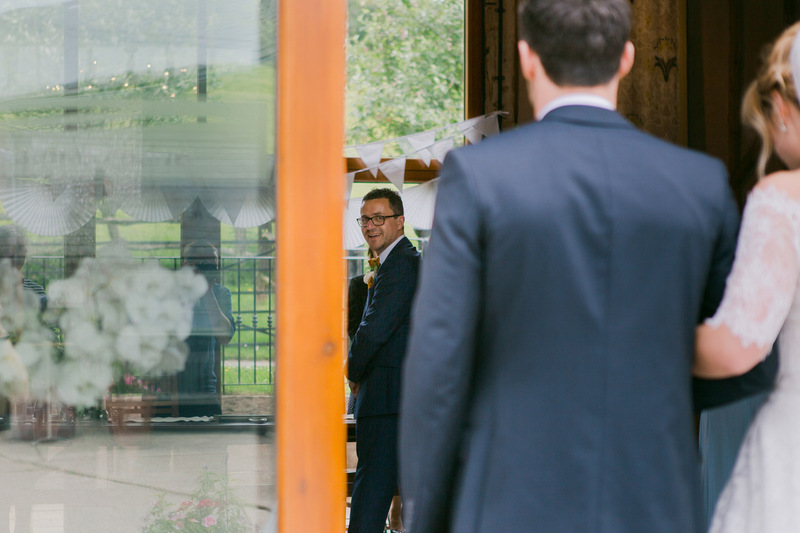 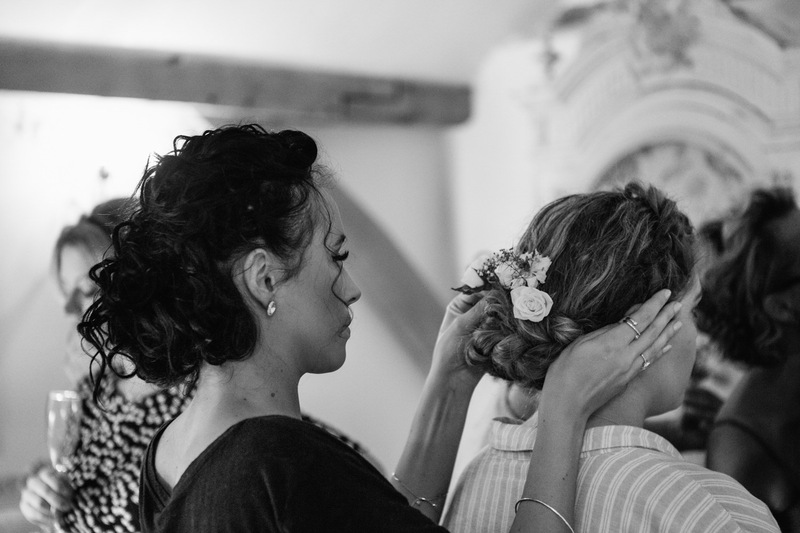 Wedding days can sometimes be stressful and very emotional but rarely have we seen two people so clearly taking in every moment, absorbing it all every step of the way. 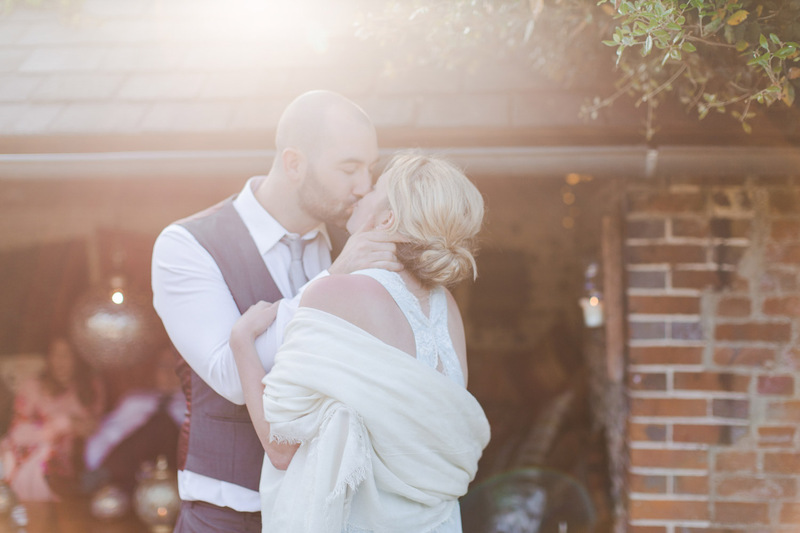 There was a wonderful, even comforting sense of peacefulness, both in themselves and throughout the day that followed. 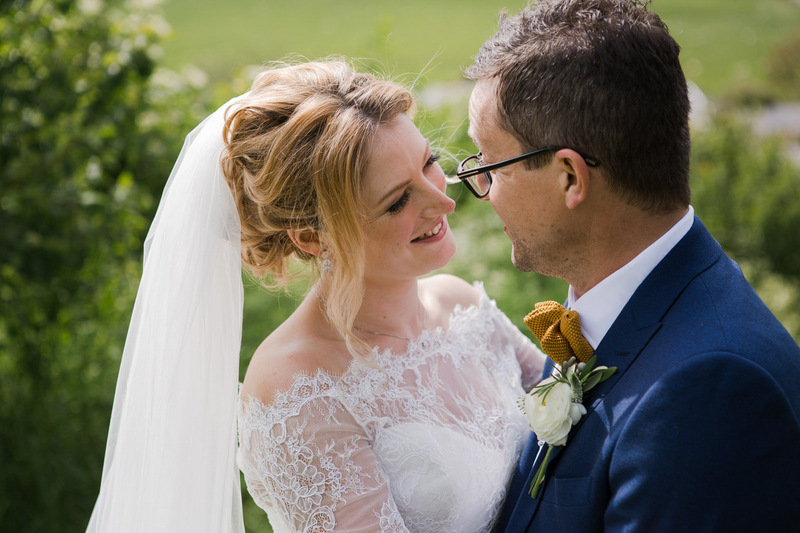 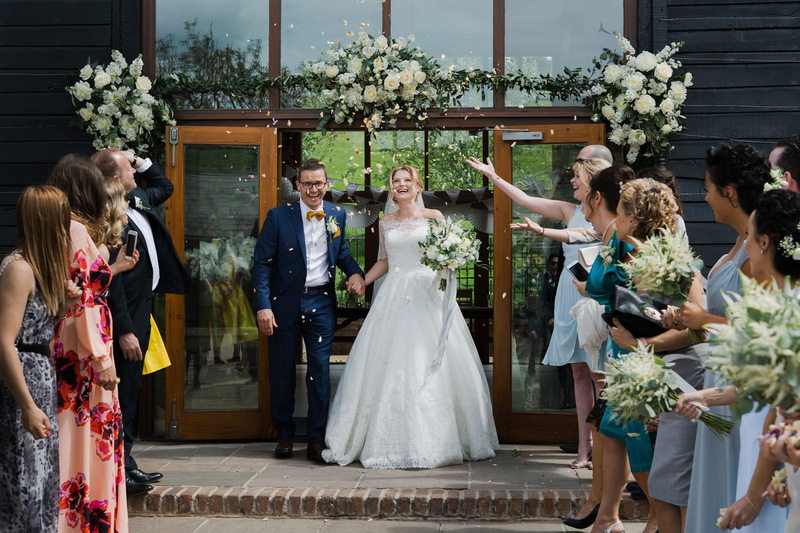 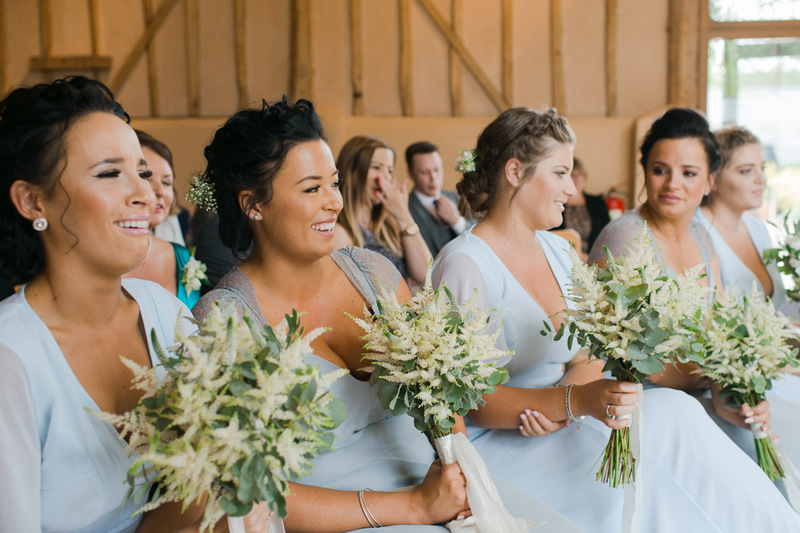 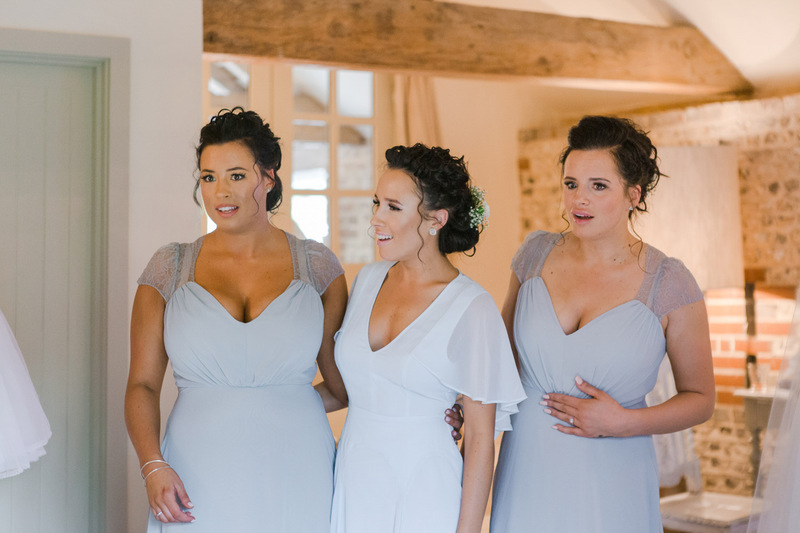 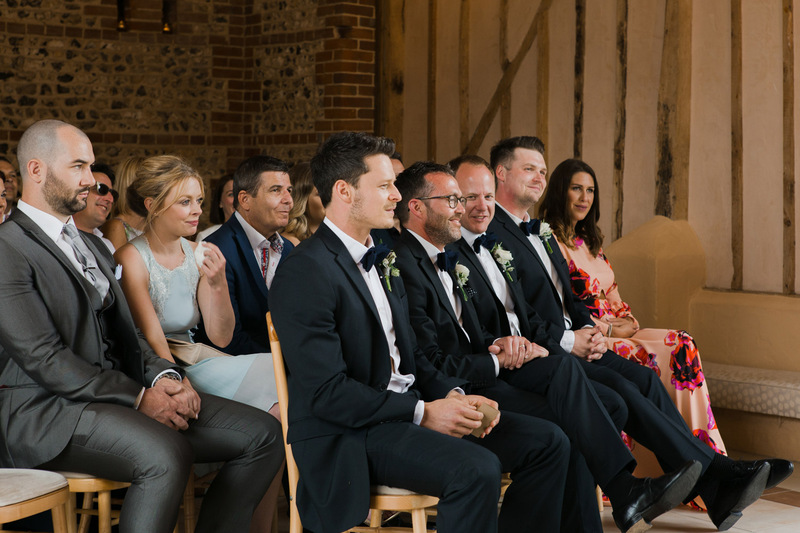 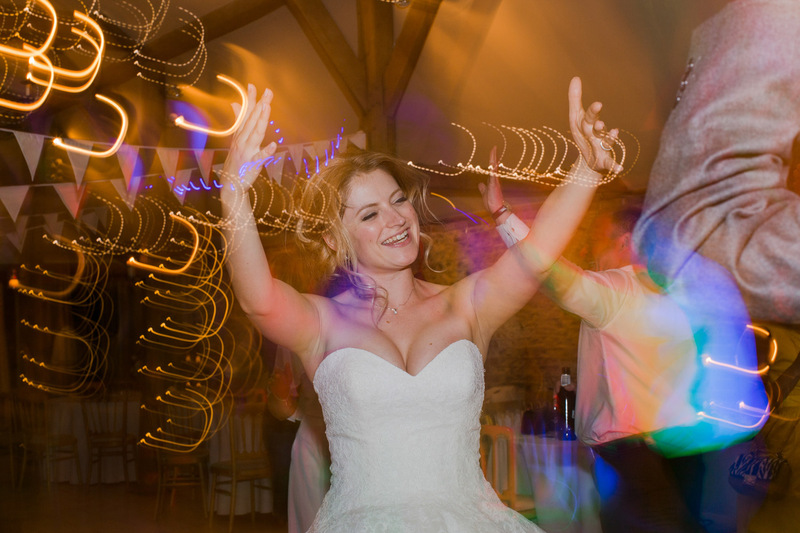 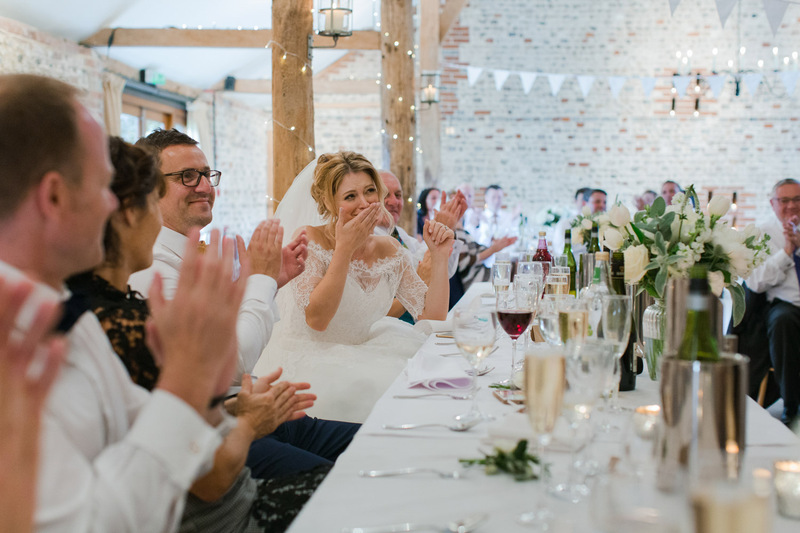 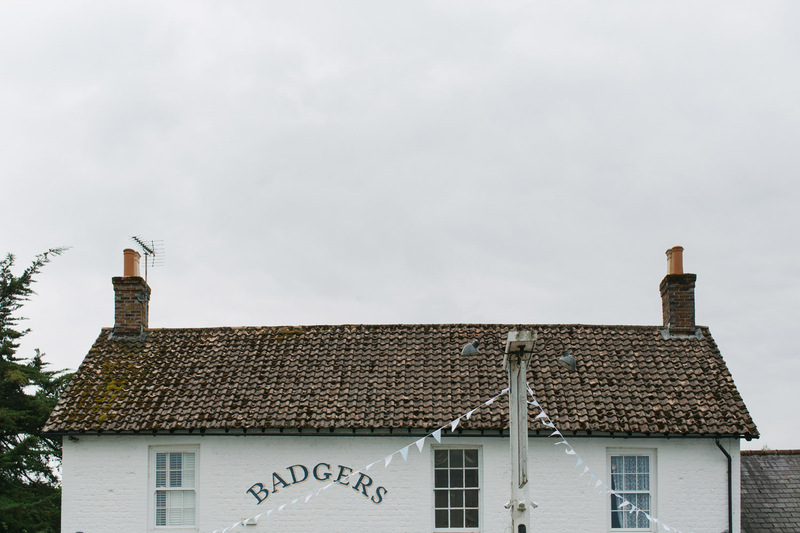 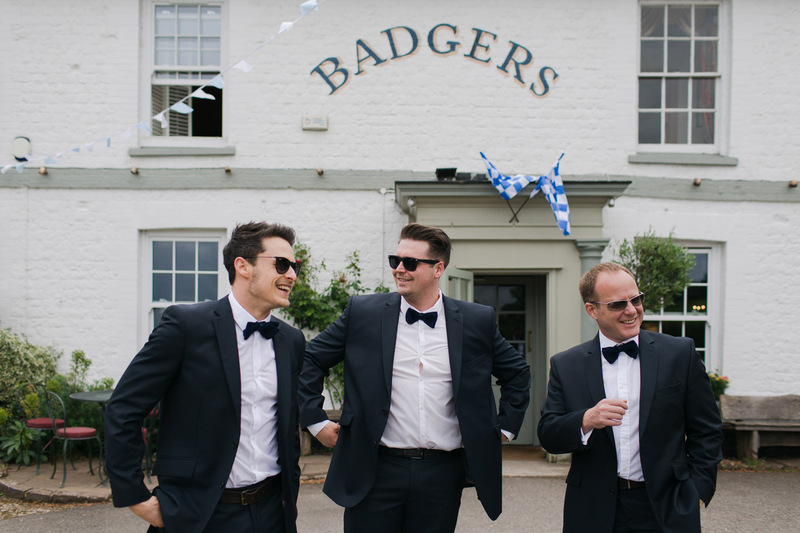 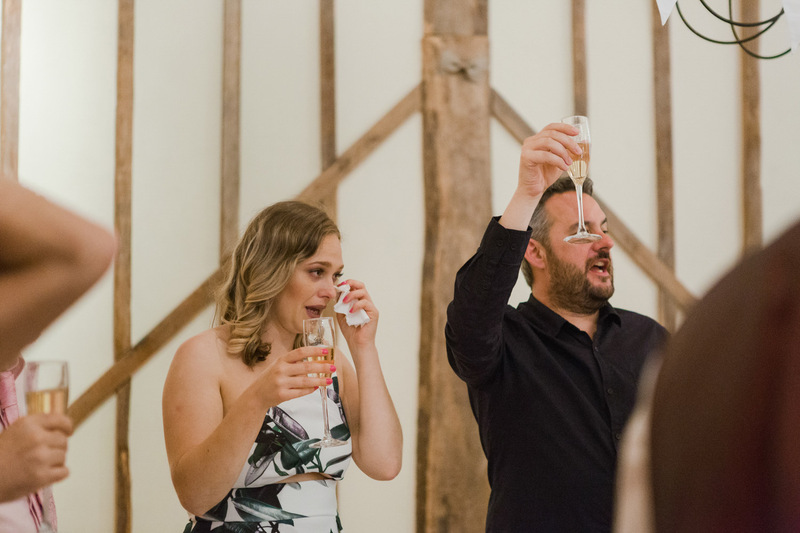 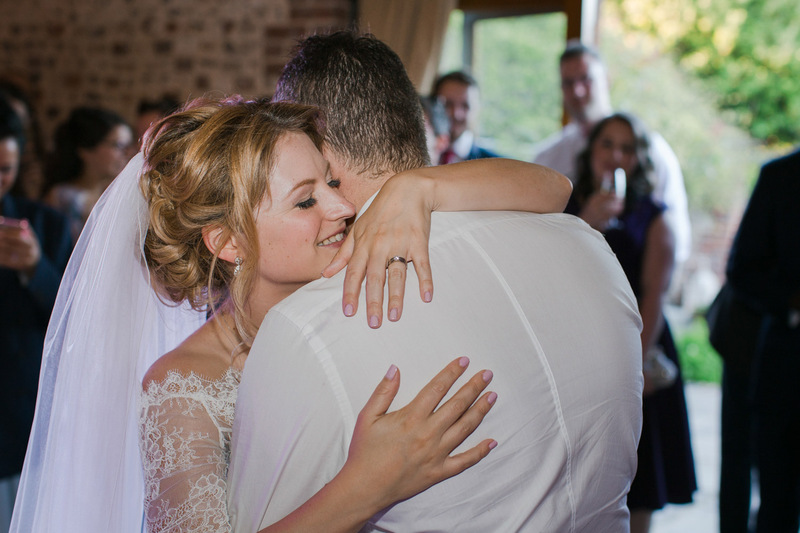 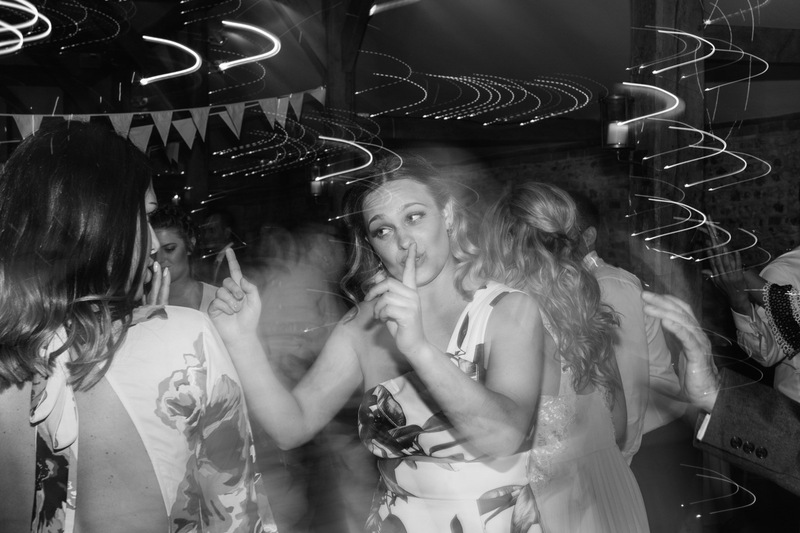 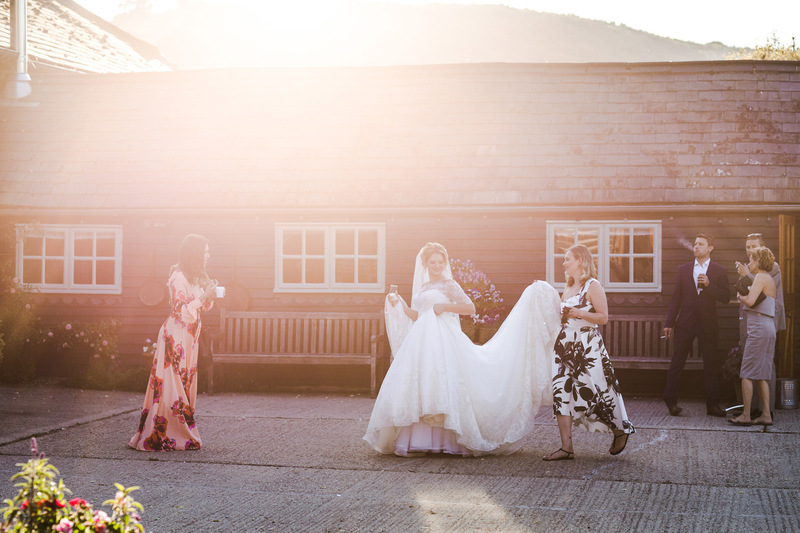 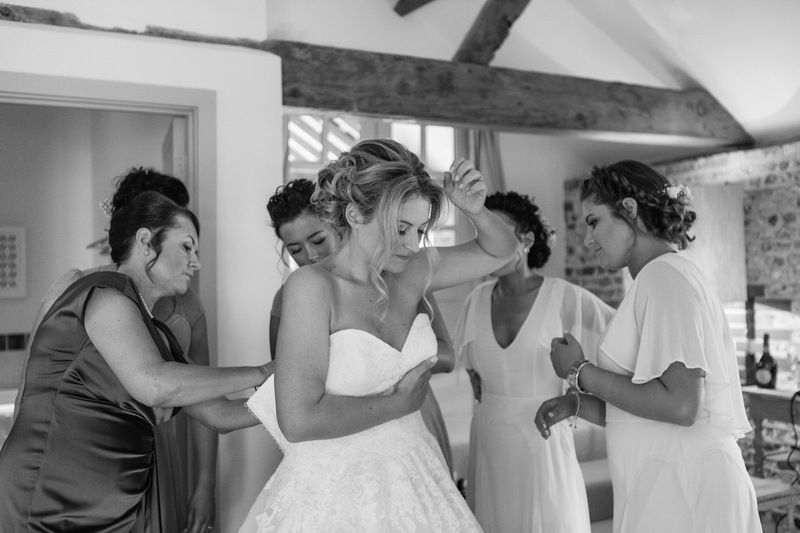 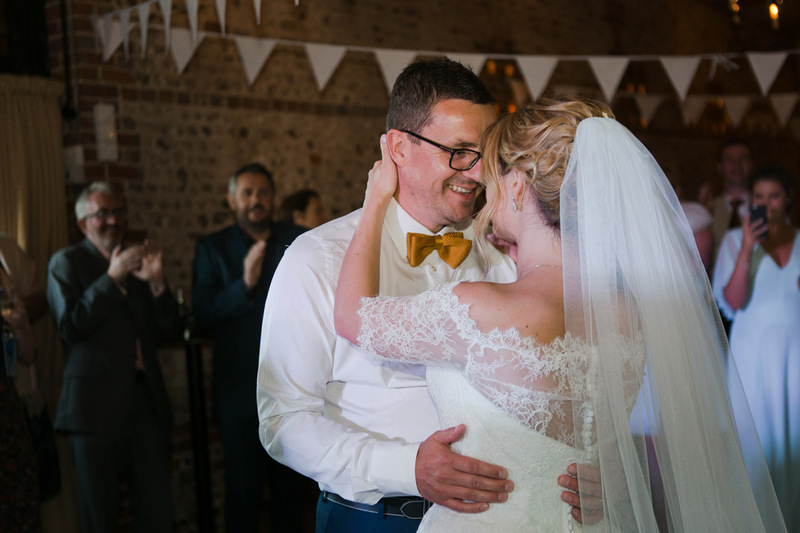 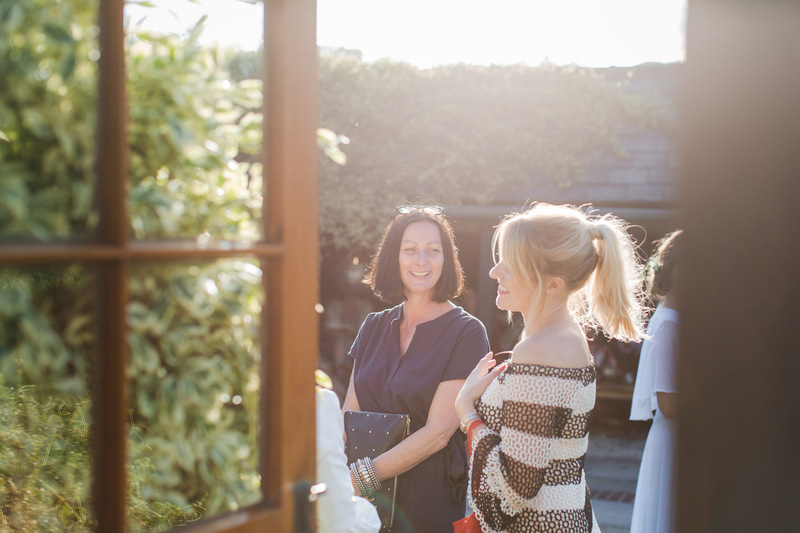 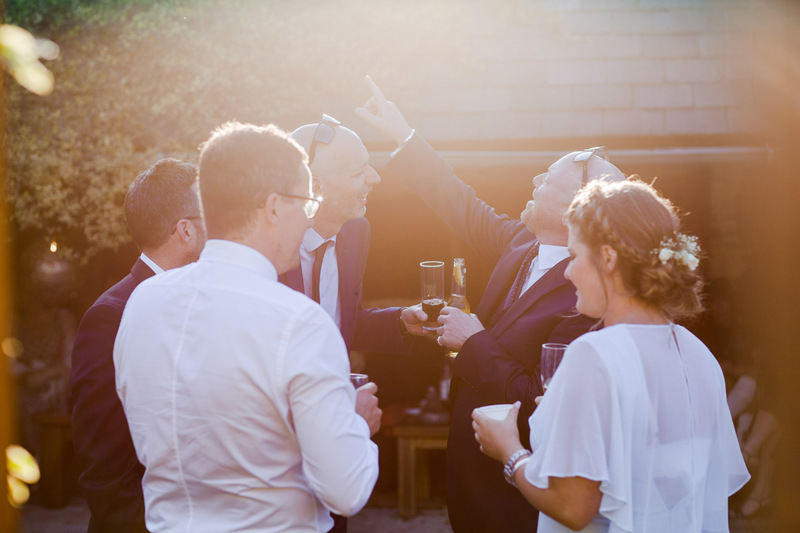 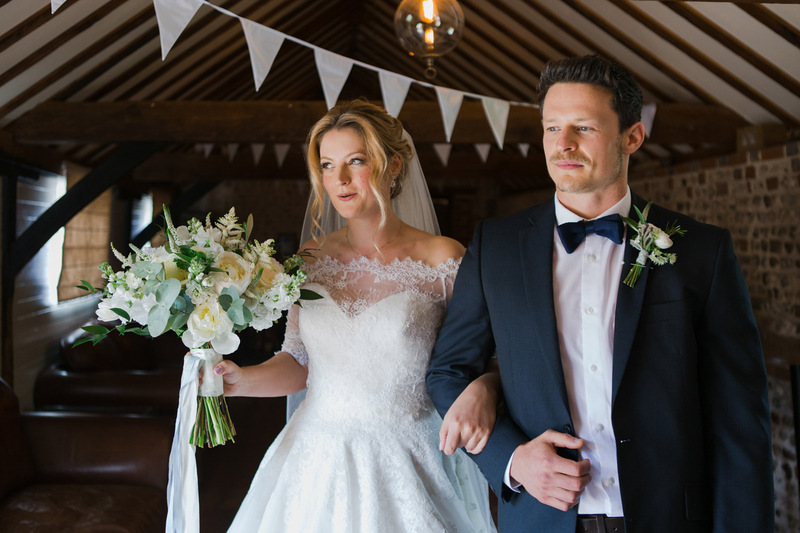 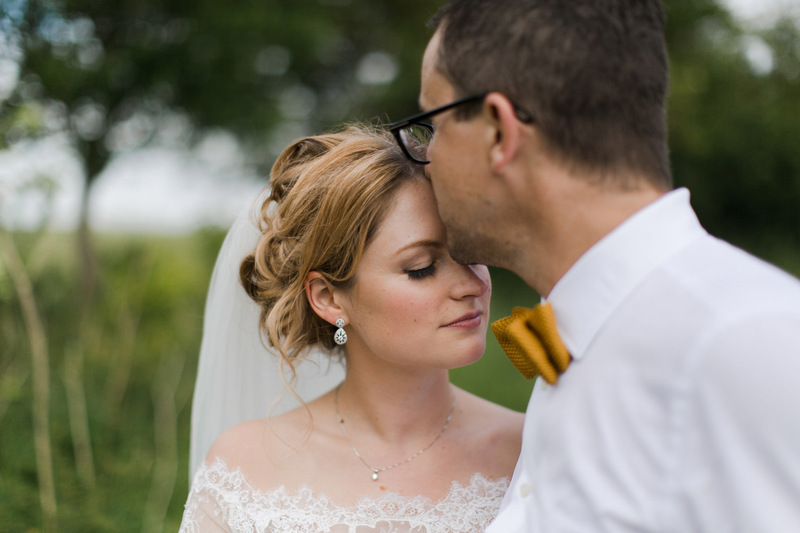 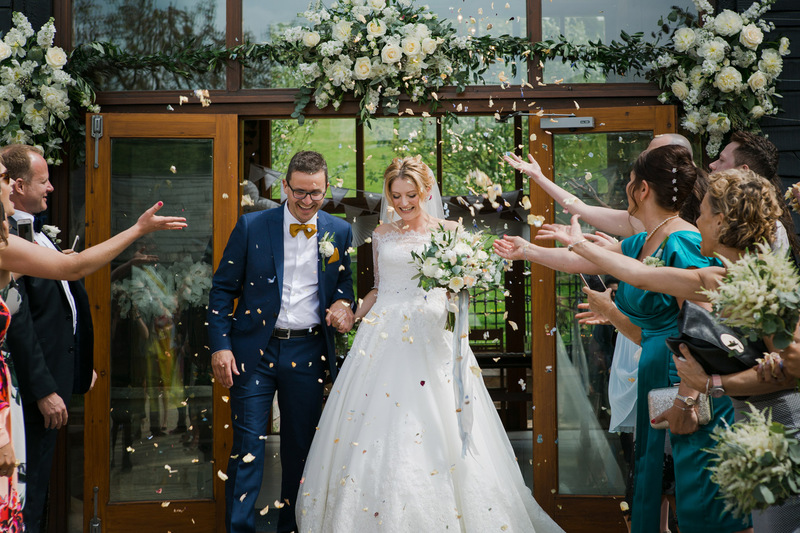 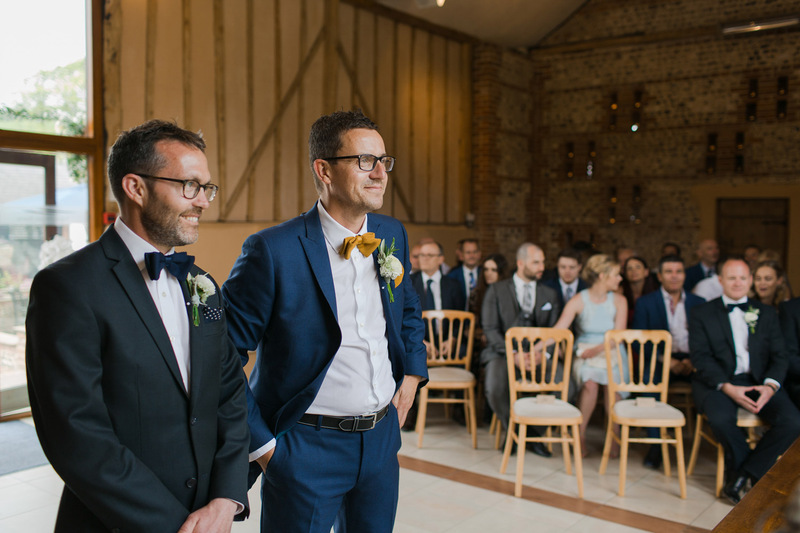 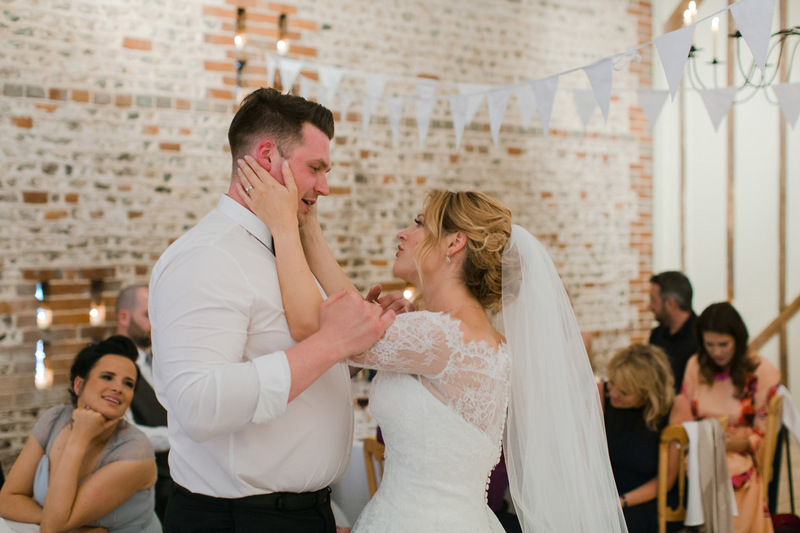 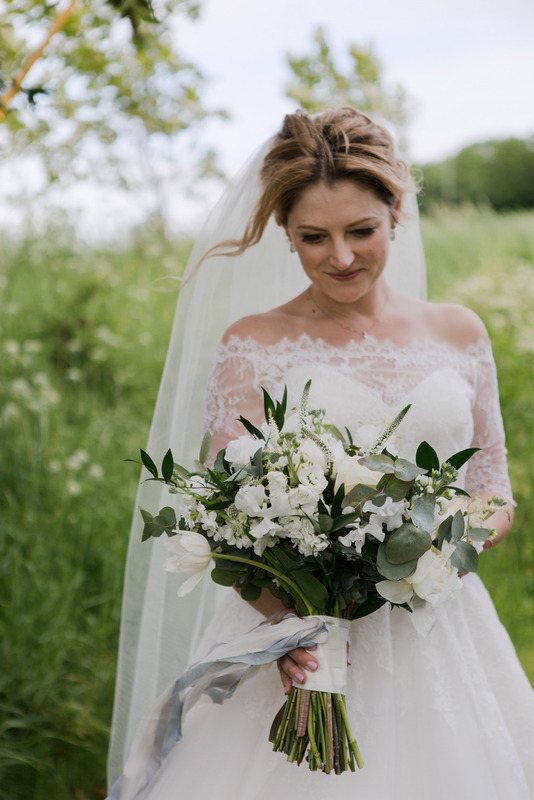 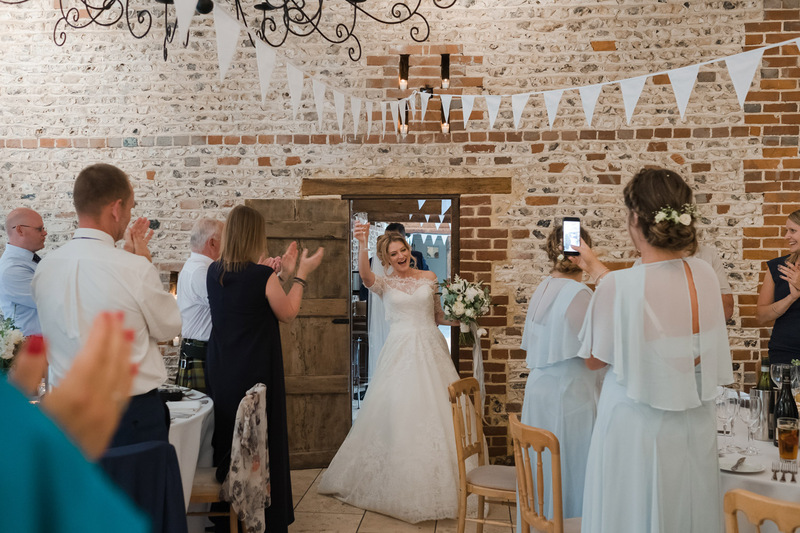 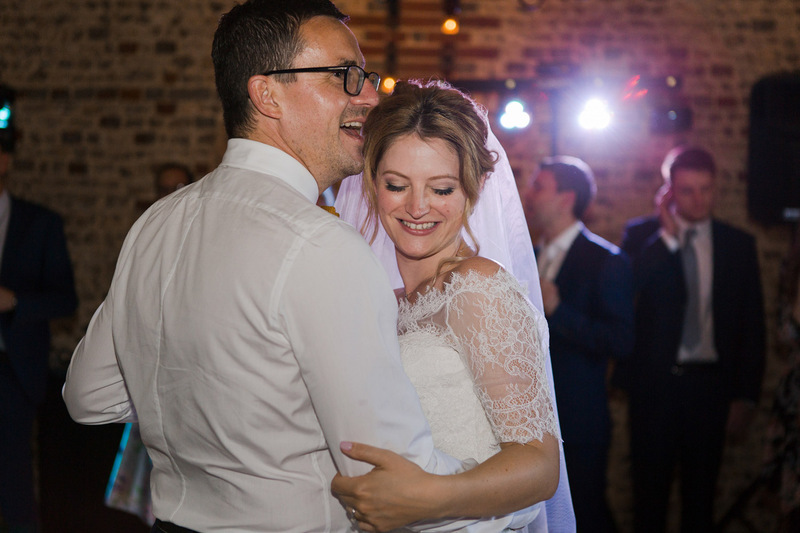 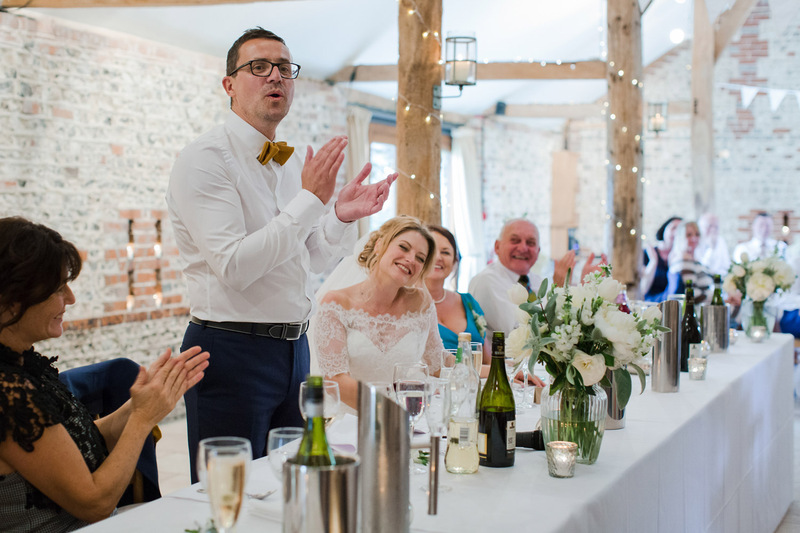 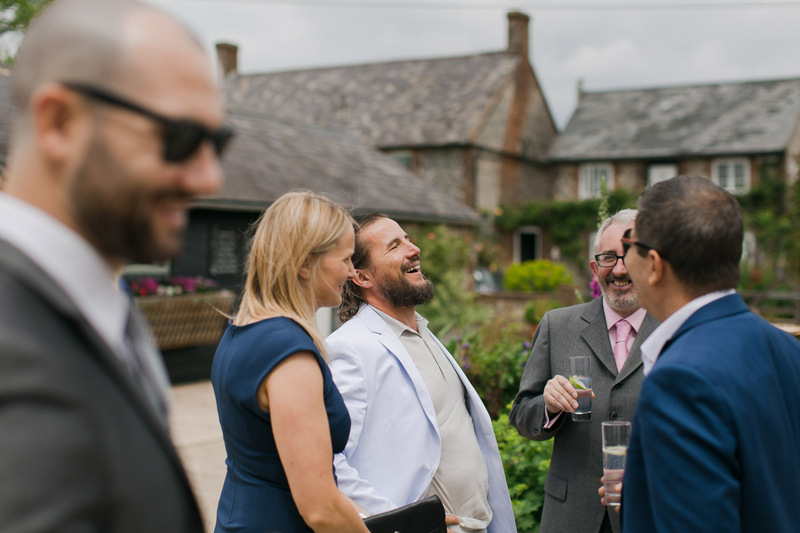 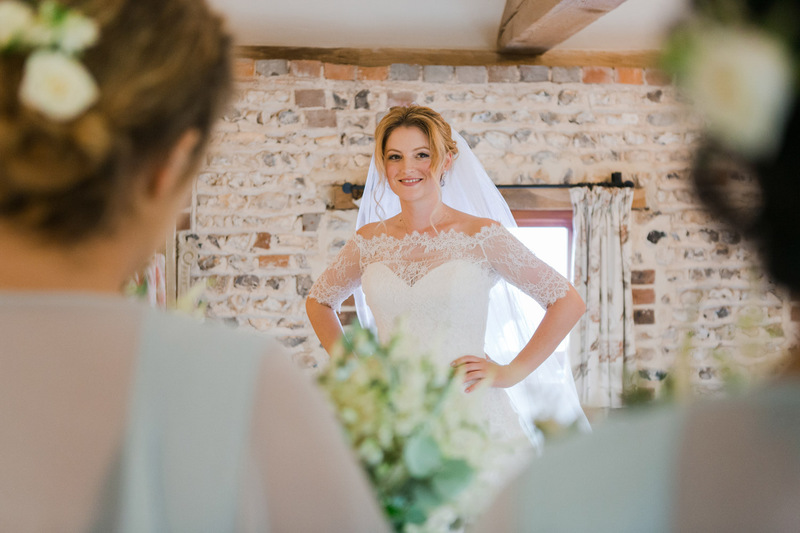 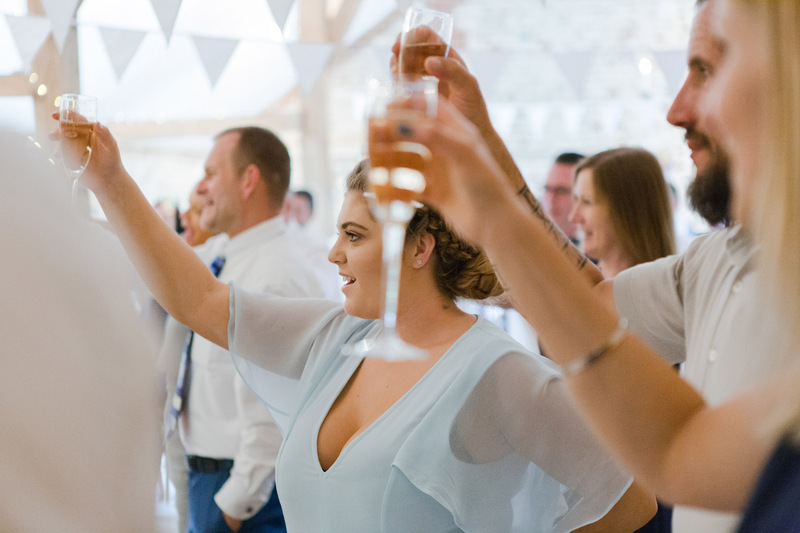 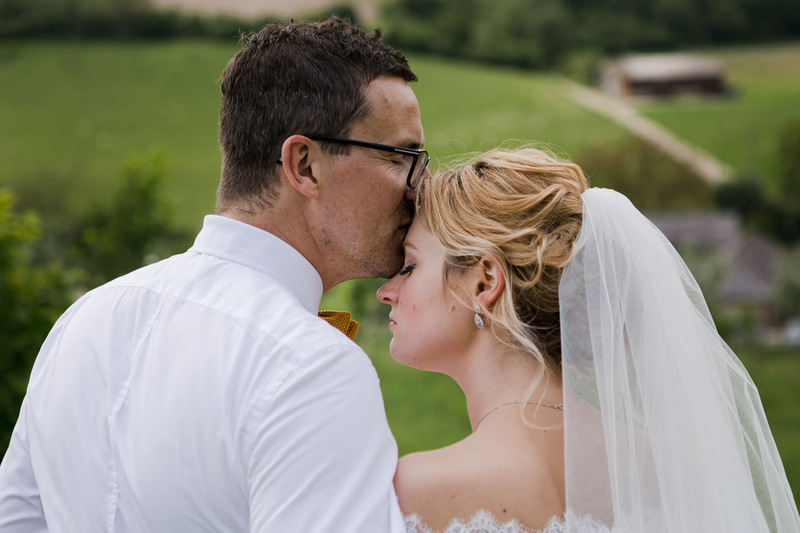 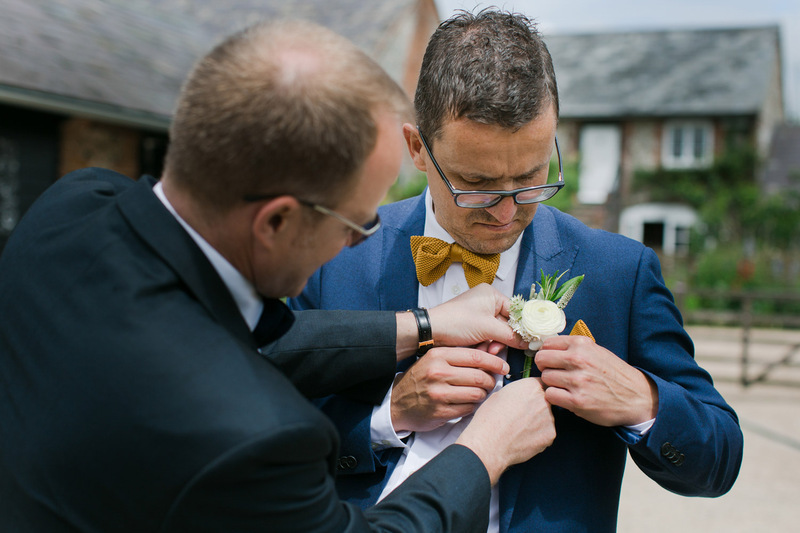 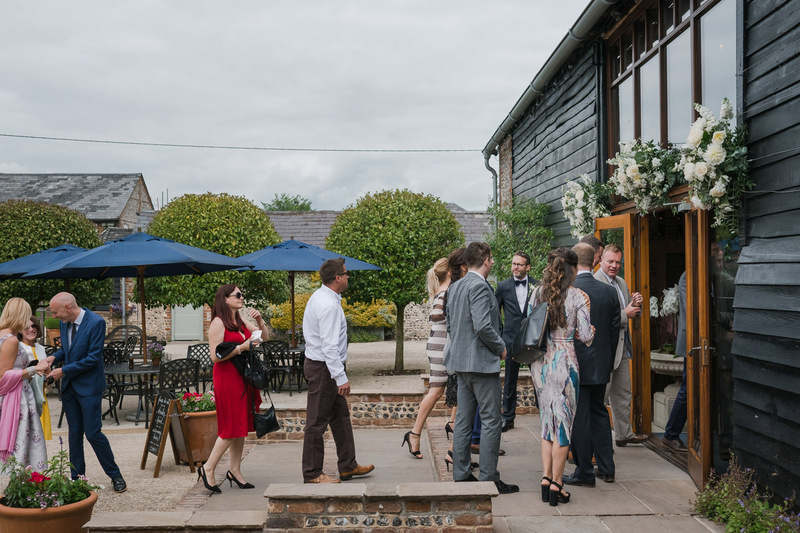 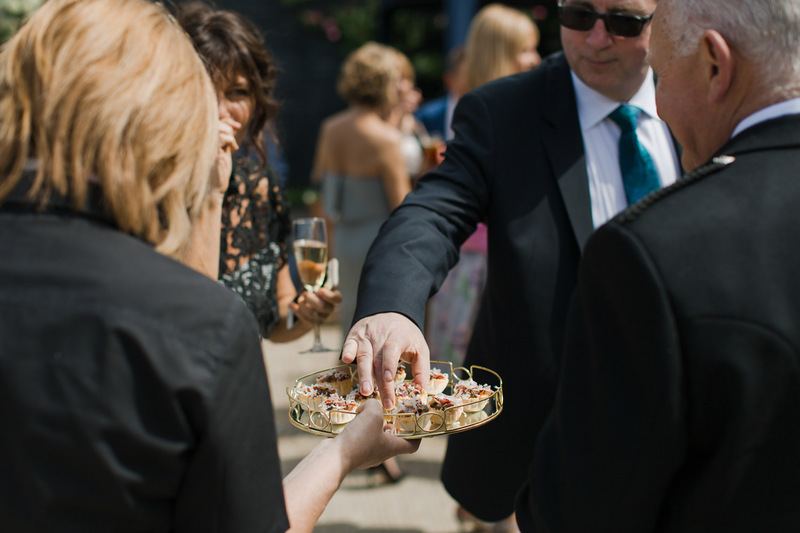 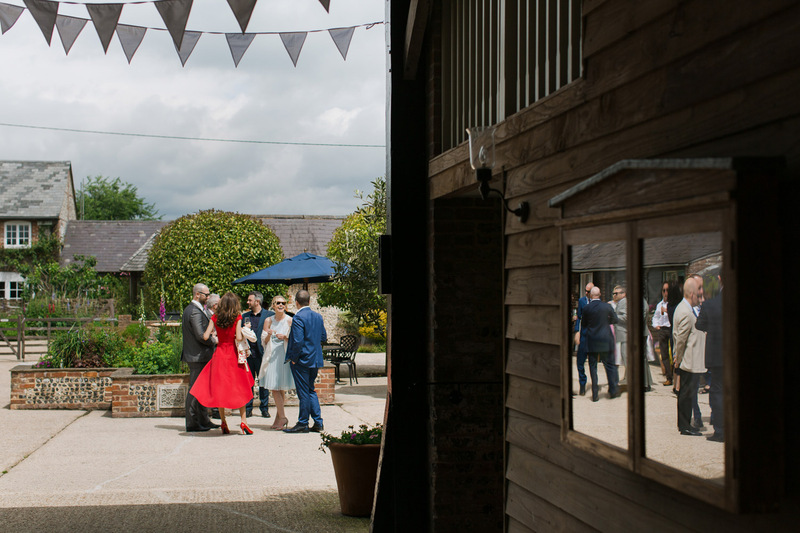 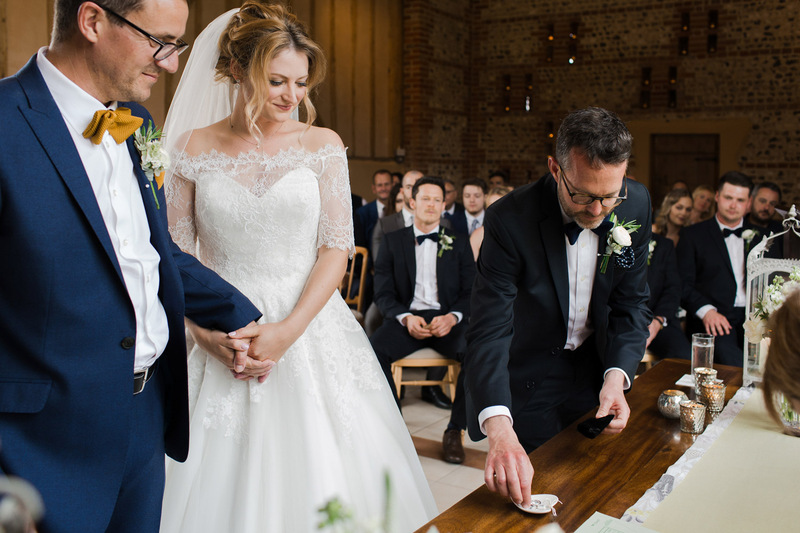 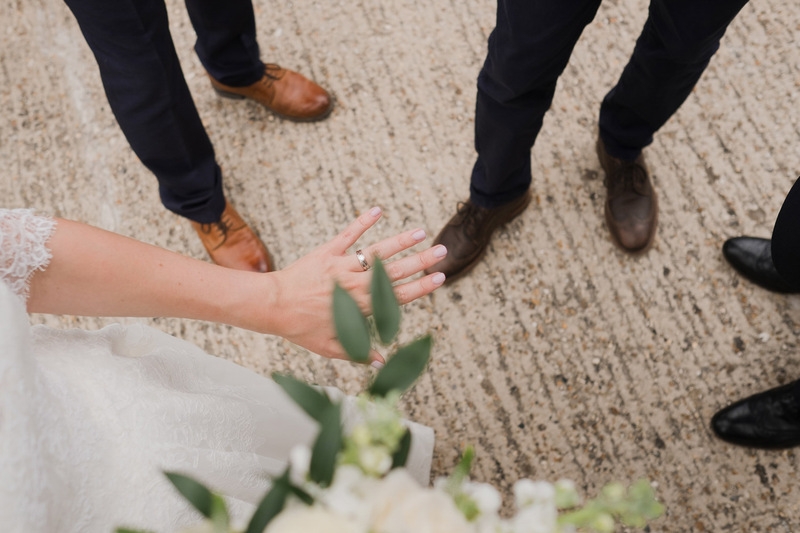 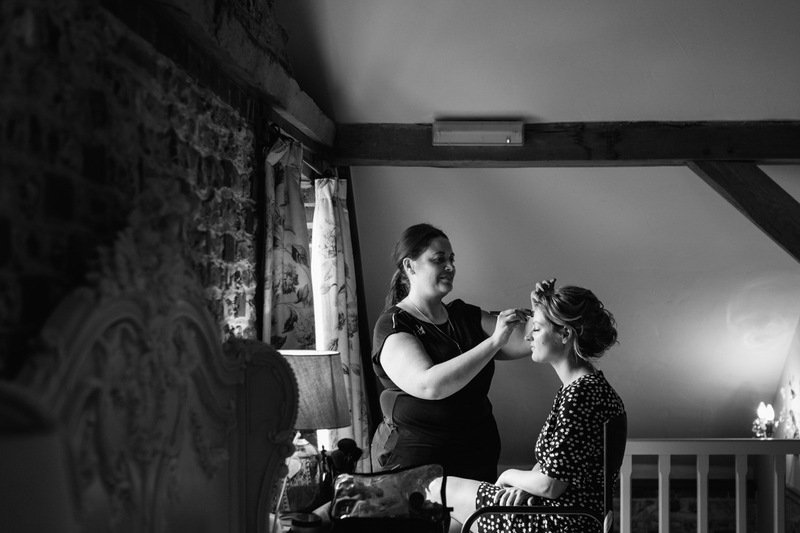 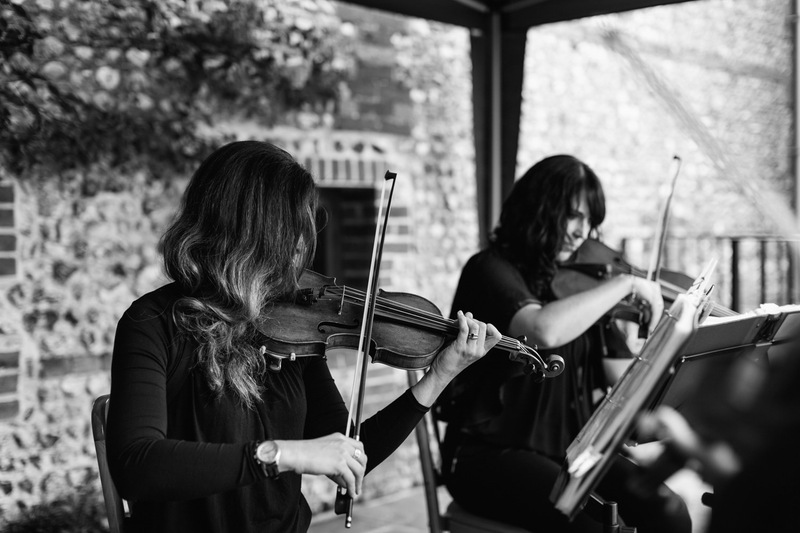 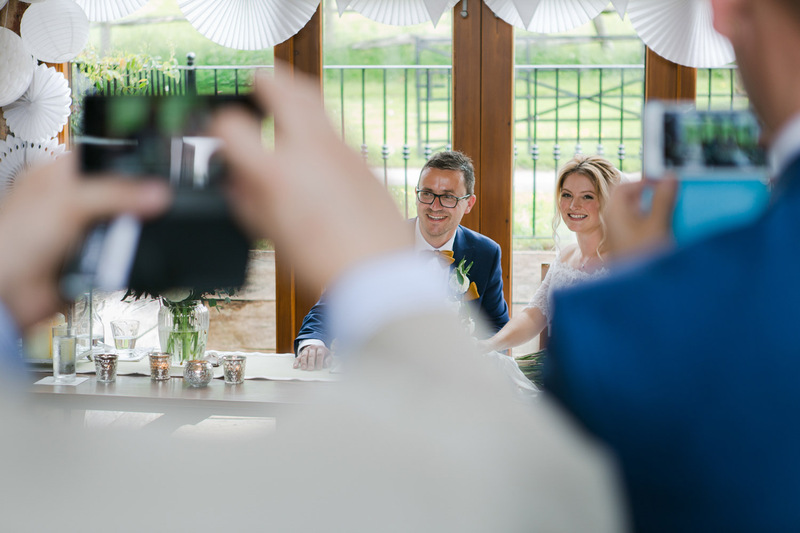 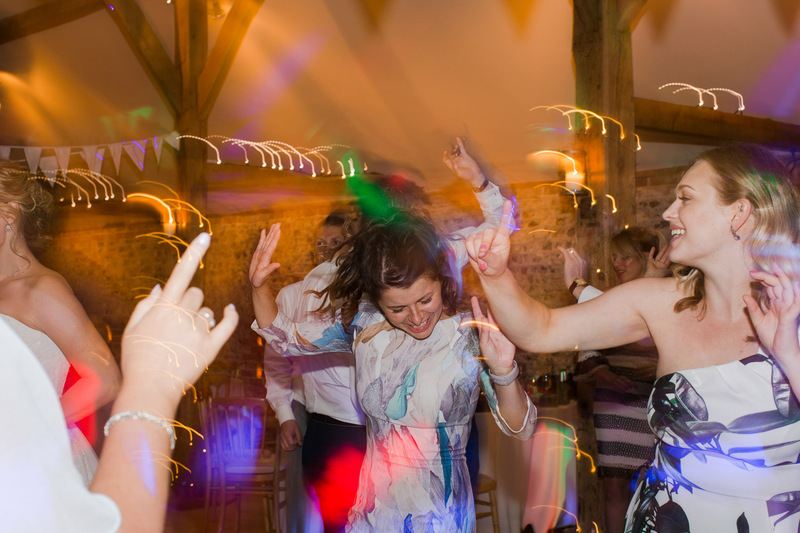 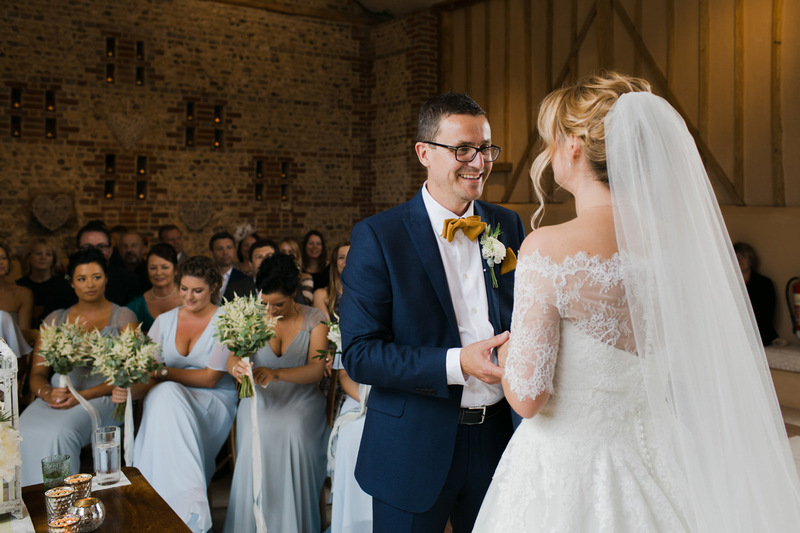 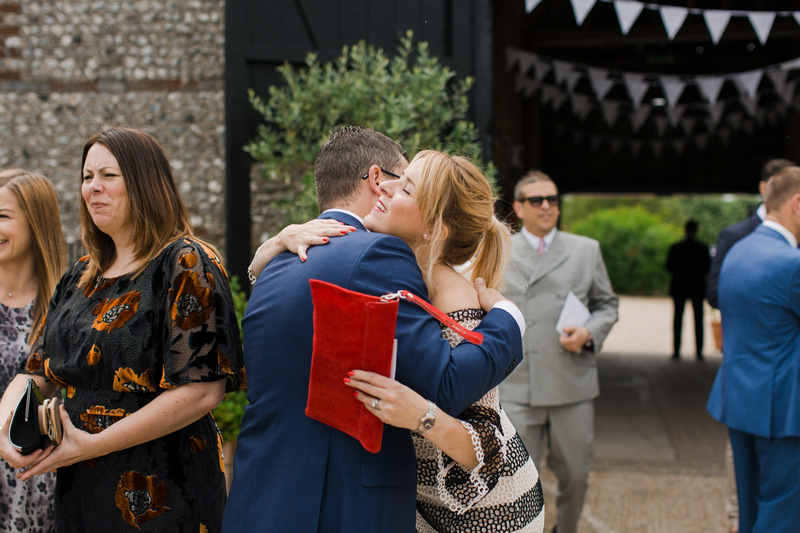 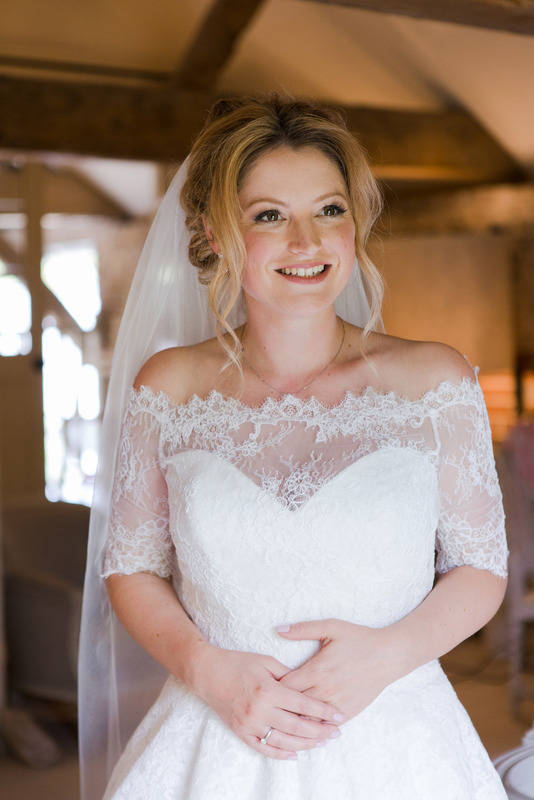 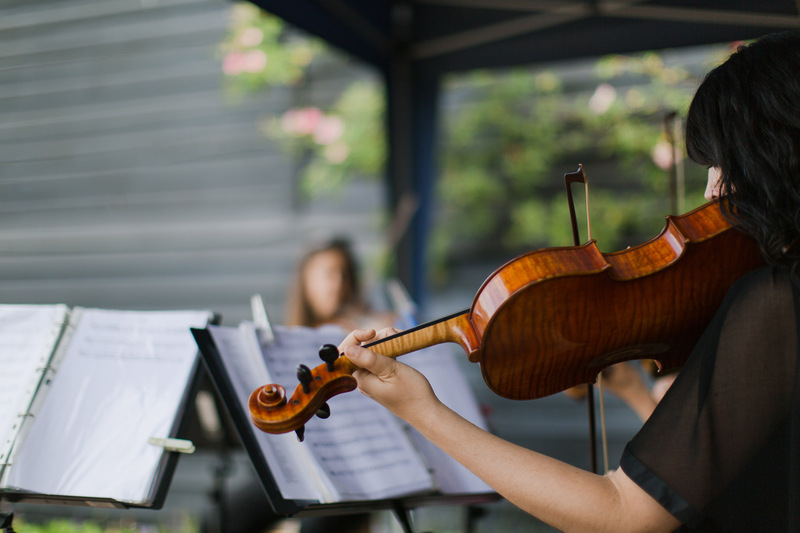 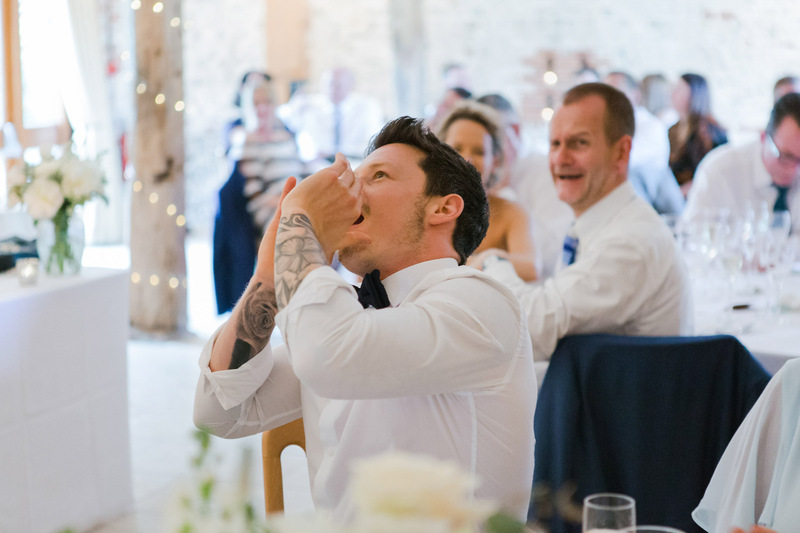 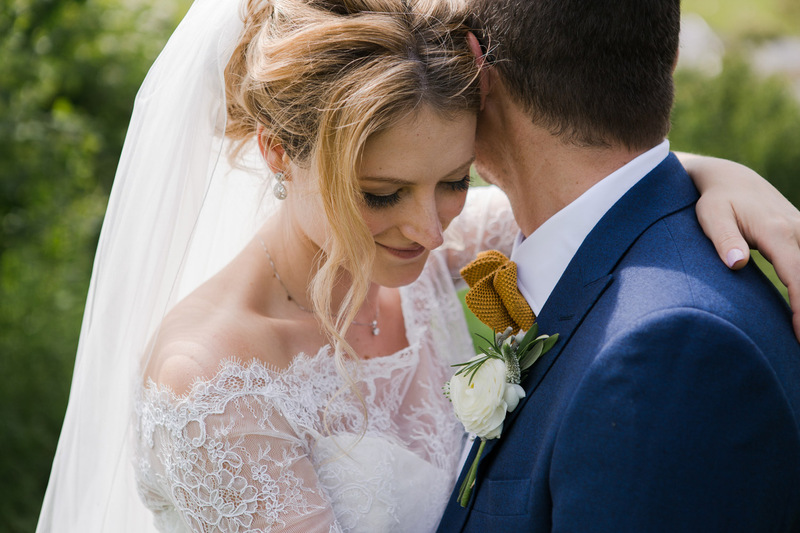 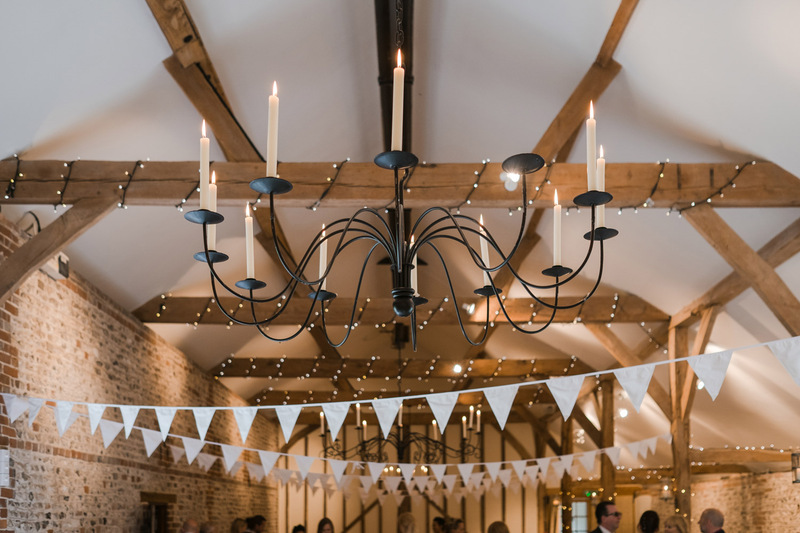 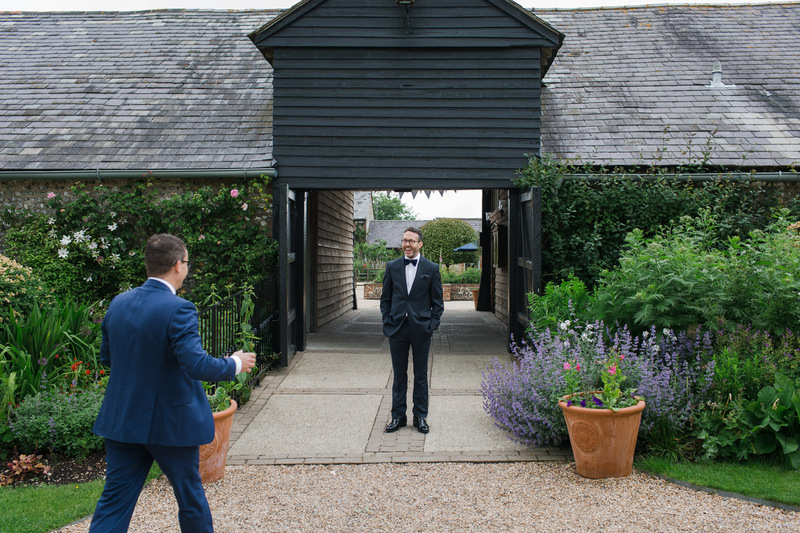 Their day took place at the stunning Upwaltham Barns wedding venue, a perfect setting for a relaxed country wedding where their family and friends could relax outside in the courtyard until the sun went down. 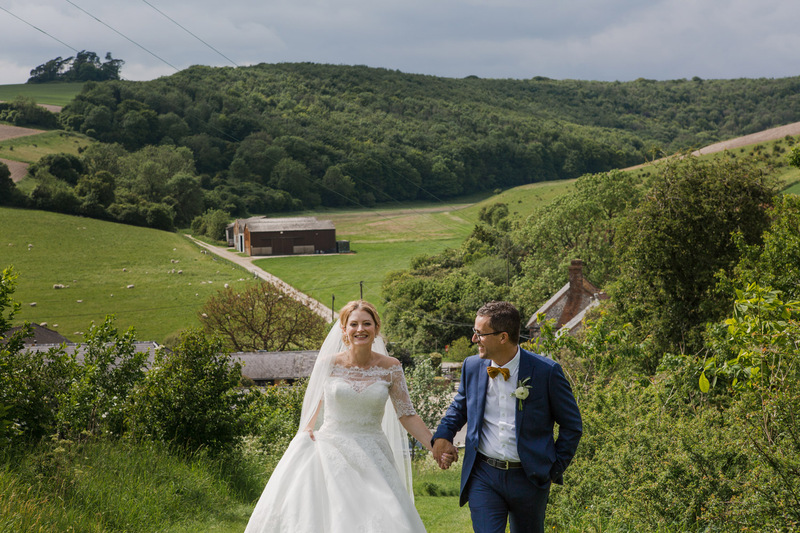 While their guests enjoyed their drinks in the sunshine, we made the most of the surroundings on our doorstep and went with Frankie and Lee on a walk up the hillside behind the barn. 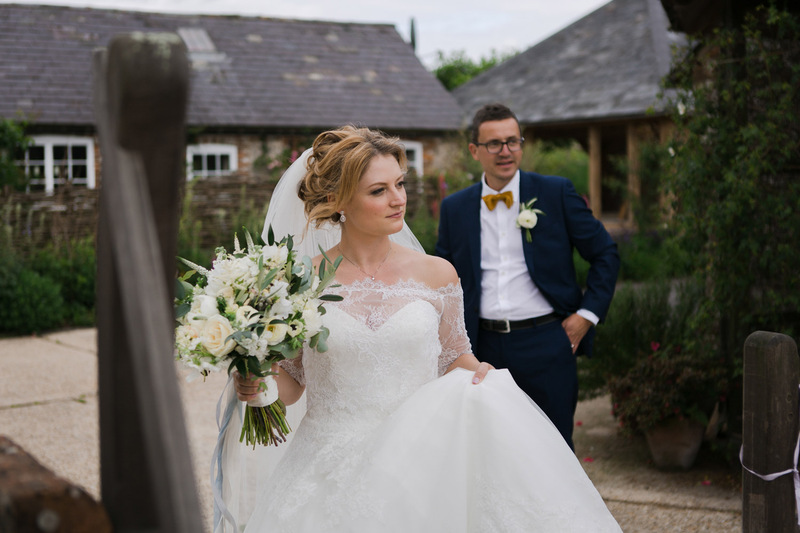 What a stunning backdrop! 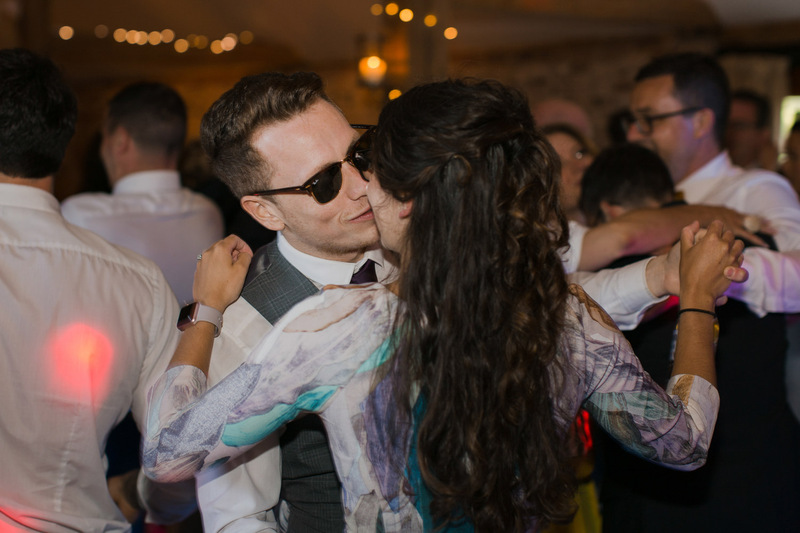 They were just so natural and it was easy to see the very special connection between them. 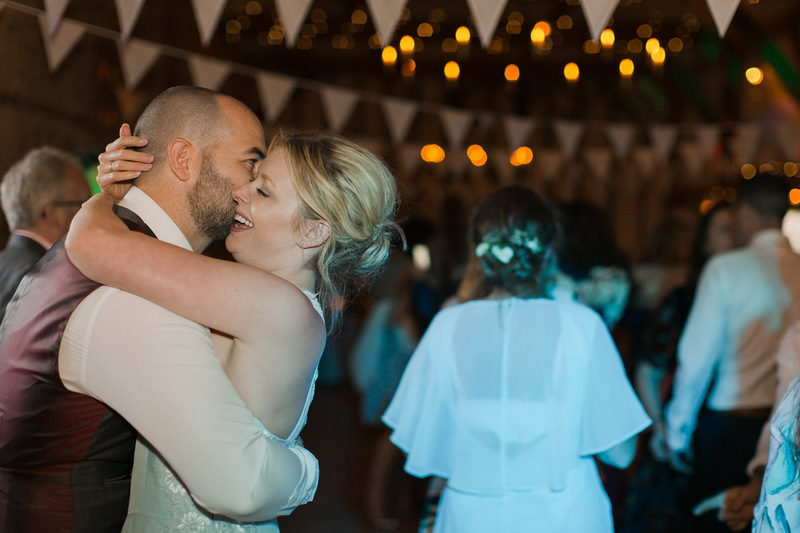 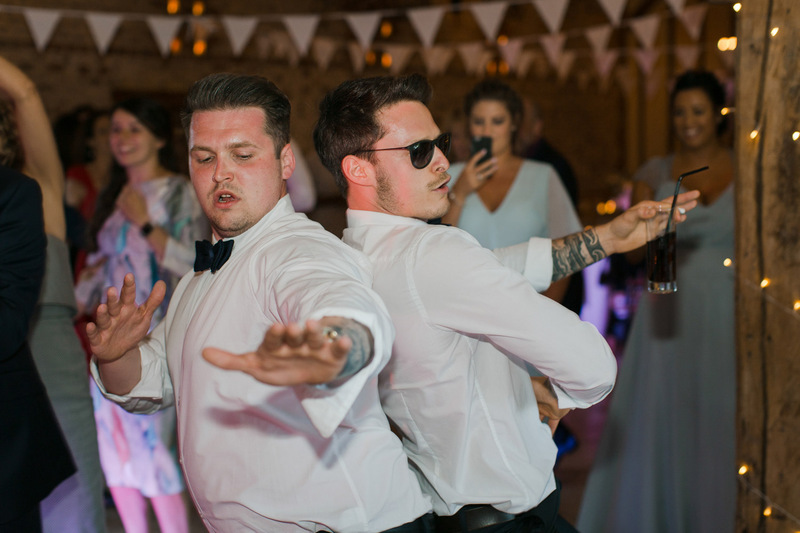 Everyone stayed outside, soaking up the last moments of sun, drinking and relaxing in the Moroccan garden room, until it was time to get up on their feet and party into the night! 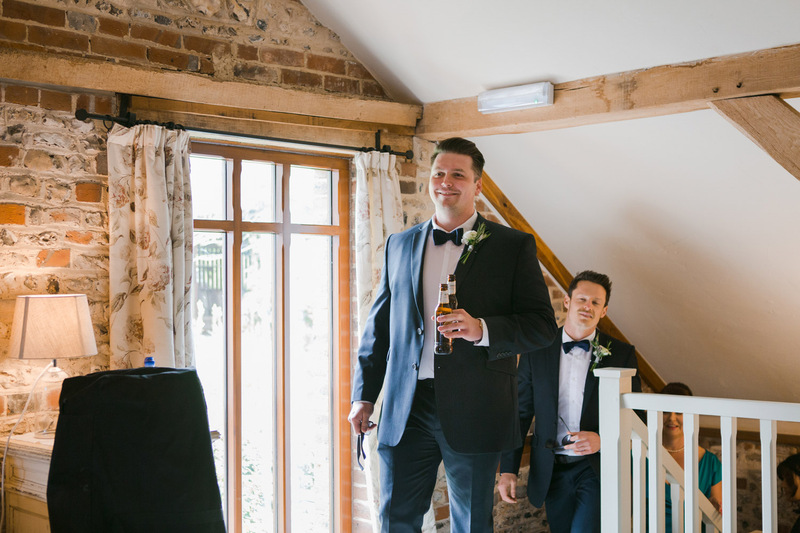 We returned to the inn where Lee had started his day, sat together with a large glass of red (or two) and couldn’t help being slightly in awe of Frankie and Lee. 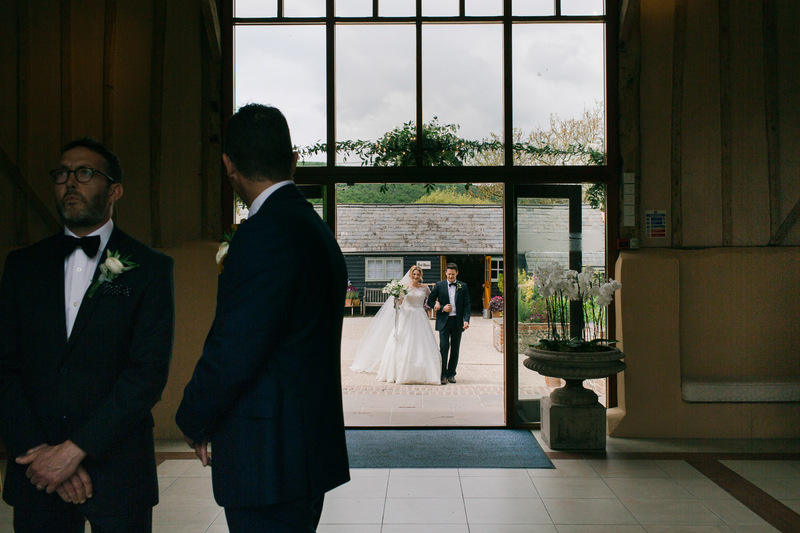 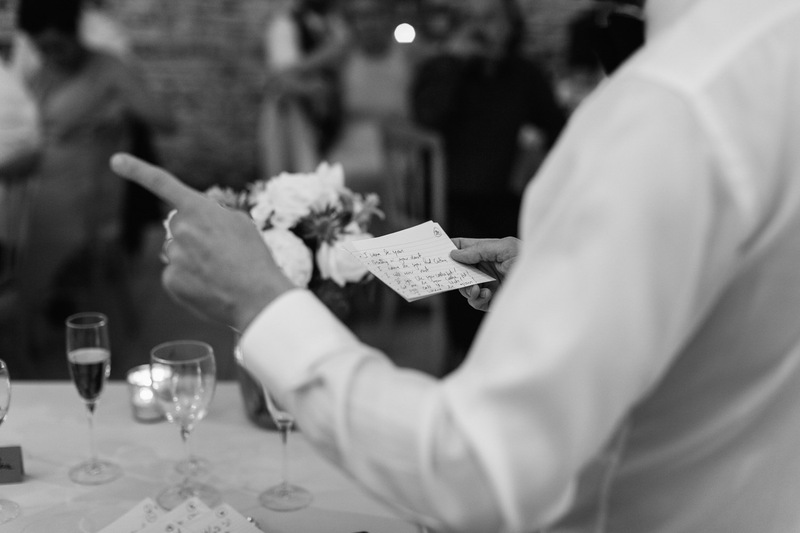 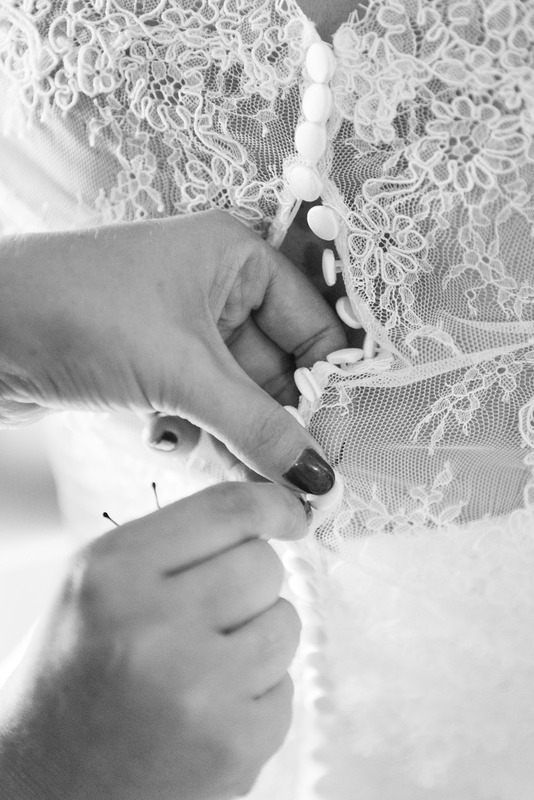 We were there to document their day, but somehow felt like we’d emerged from a masterclass in living in the moment and on how to focus on what matters most in life. 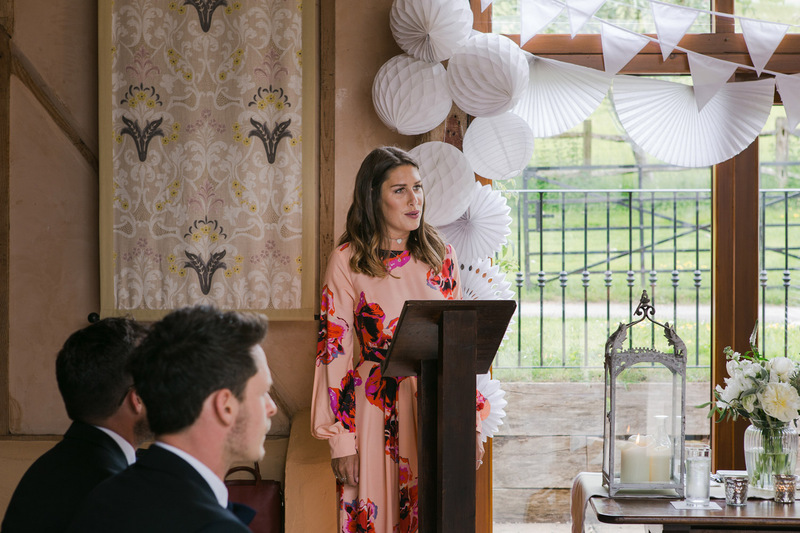 We didn’t expect to leave Frankie & Lee’s wedding with so much to think about! 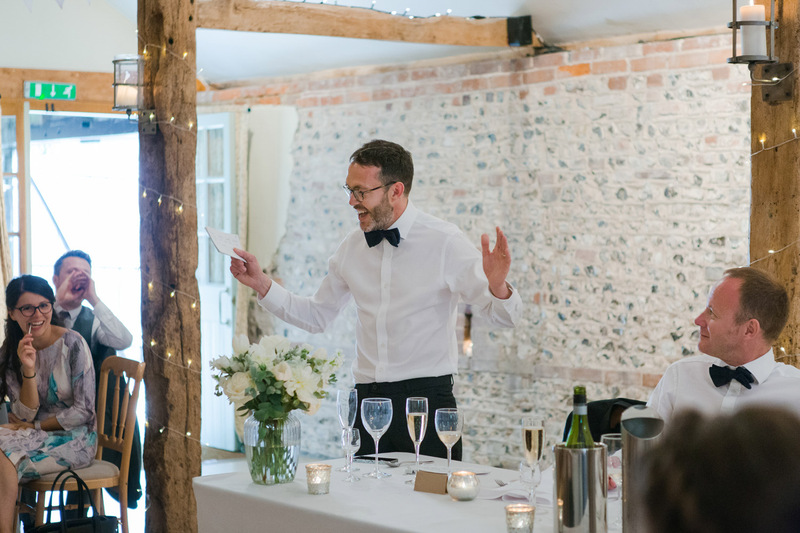 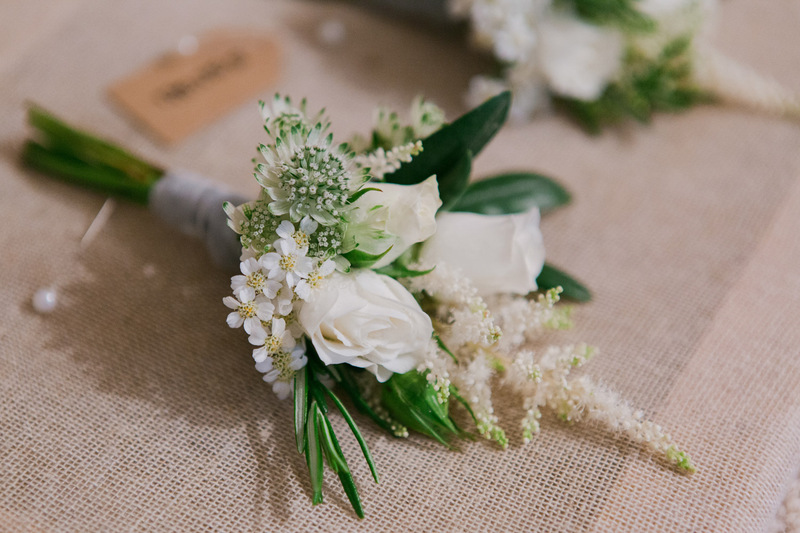 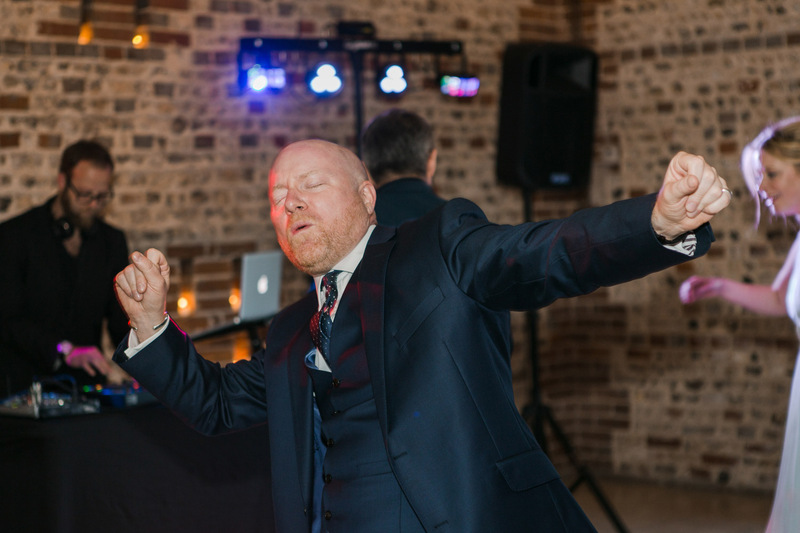 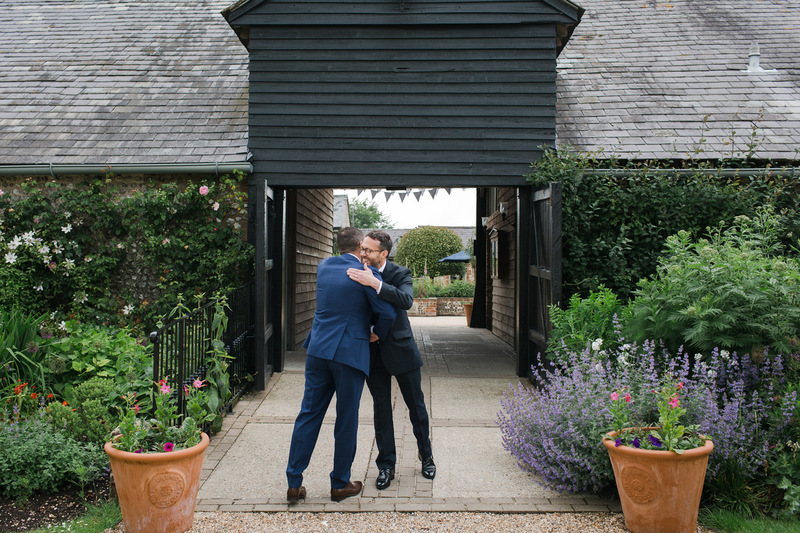 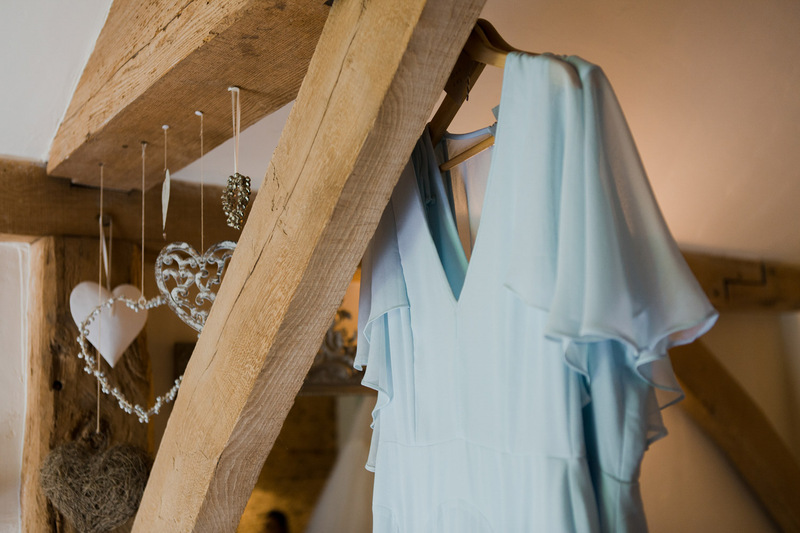 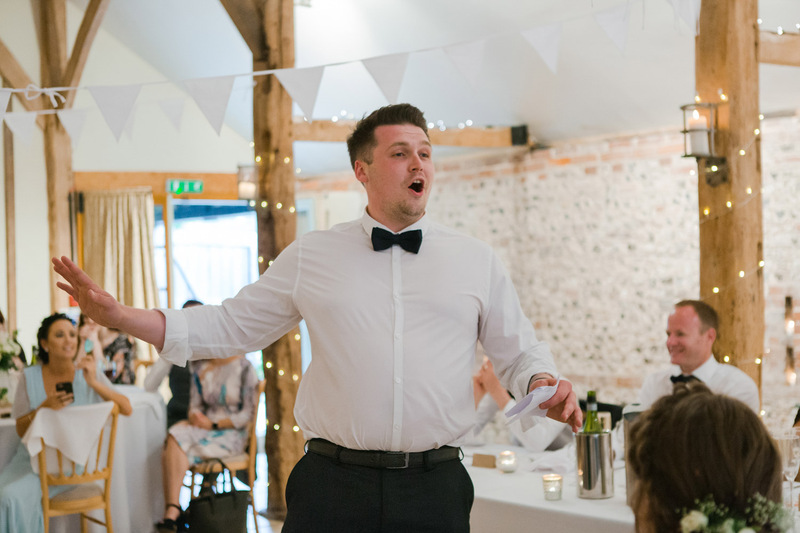 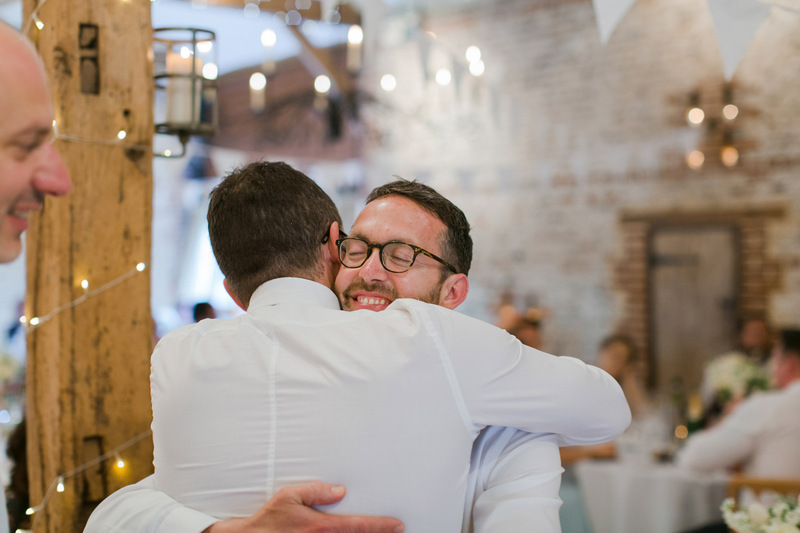 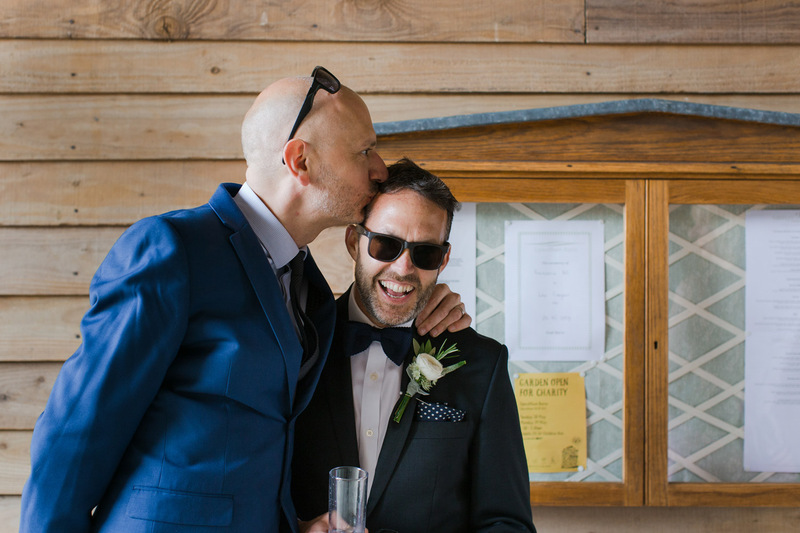 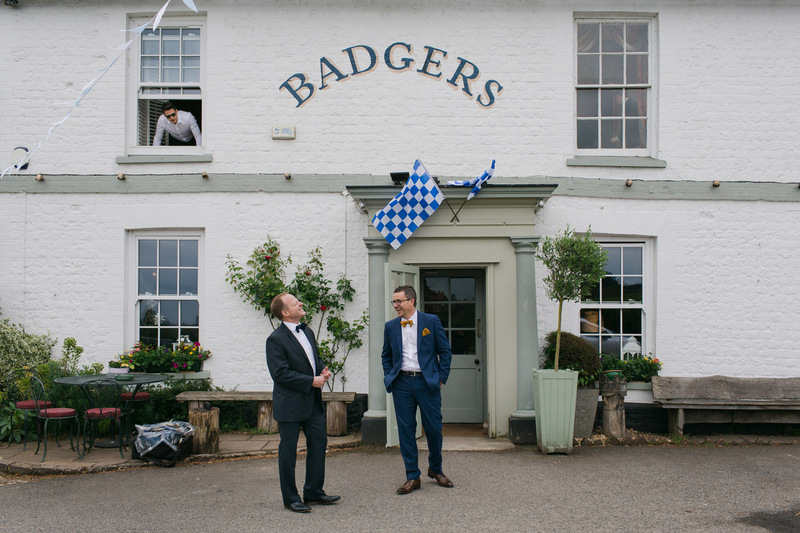 Just before signing off, we want to send a big thank you to everyone at Upwaltham Barns for making us both feel so welcome on the wedding day. 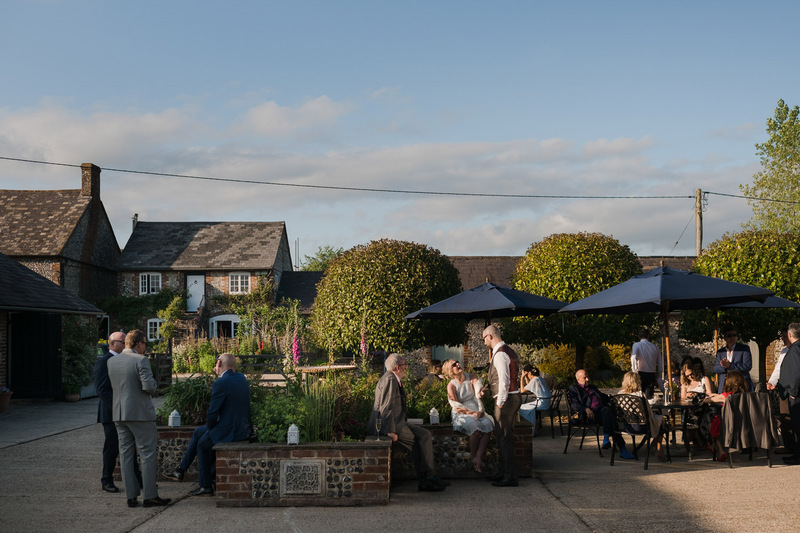 We hope to be back soon!